Many people are concerned about the state of our water resources and rivers. 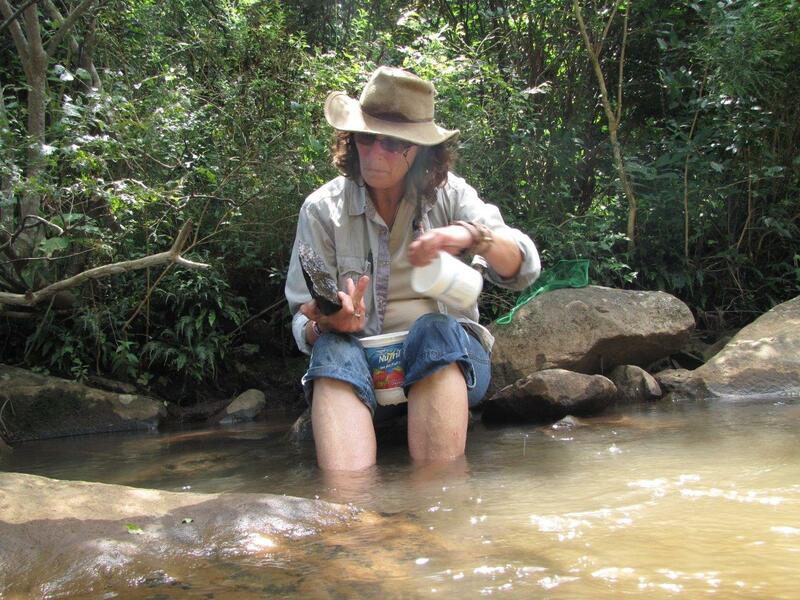 Judy Bell wrote this article after reading about the discussions at a recent Thukela River’s Simunye Environmental Forum meeting. They should be a wake-up call for us all. There is a concern that this years’ flow has been the worst experienced in recent years, which is a problem as the Bulk Water Abstraction hasn’t even started yet. 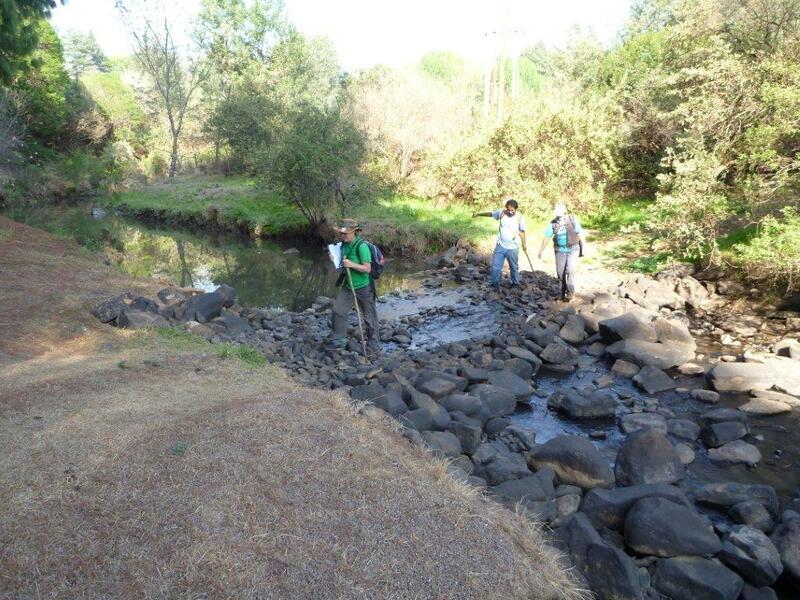 The River reserve is 6 cubic metres per second (cumecs) and the river level came down to 5.4 cumecs in September. Concerns were raised that there are a lot of developments coming in and these figures are worrying. 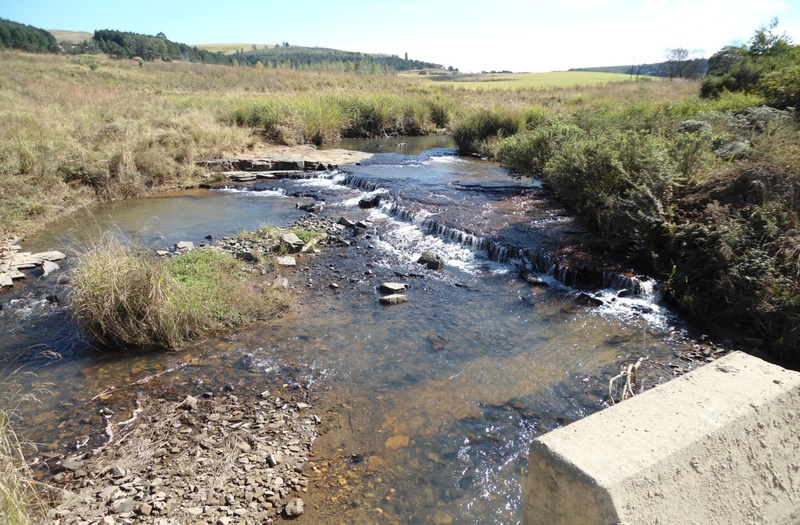 Also noted was the fact that Sappi Tugela Mill’s water abstraction rate is below 35Ml and decreasing – as they are continuously optimising processes; and that there is an off-take of ±7 cumecs for municipal use. This also really disturbing in view of all the water supply allocations for Richards Bay’s developments that will (and already do) rely on the Thukela River and the essential role of the Thukela Bank for the fishing industry up and down the coast and the health of the Estuary. 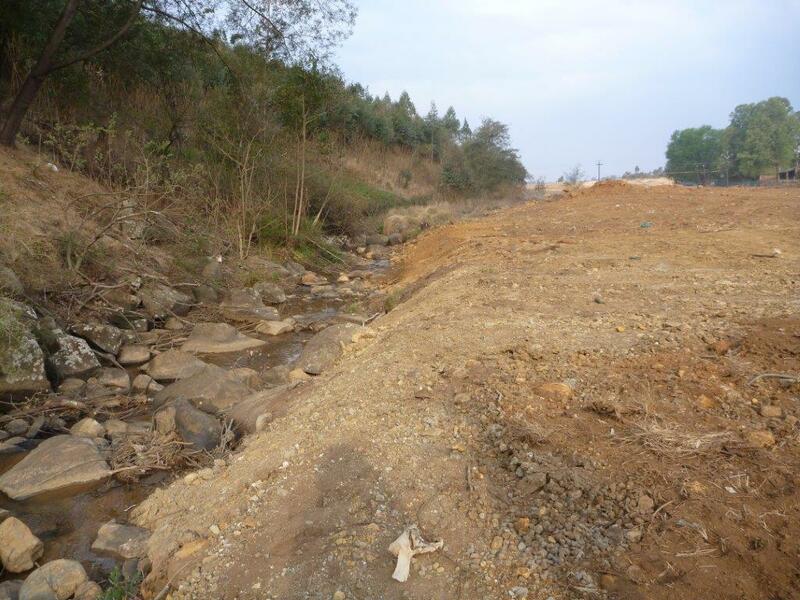 The same has occurred down the south coast with Sappi Saiccor having to stop production at around the same time due to low river flows – this even before the impacts (which will further reduce flow) from the anticipated Smithfield dam being planned for the Mkhomazi River! 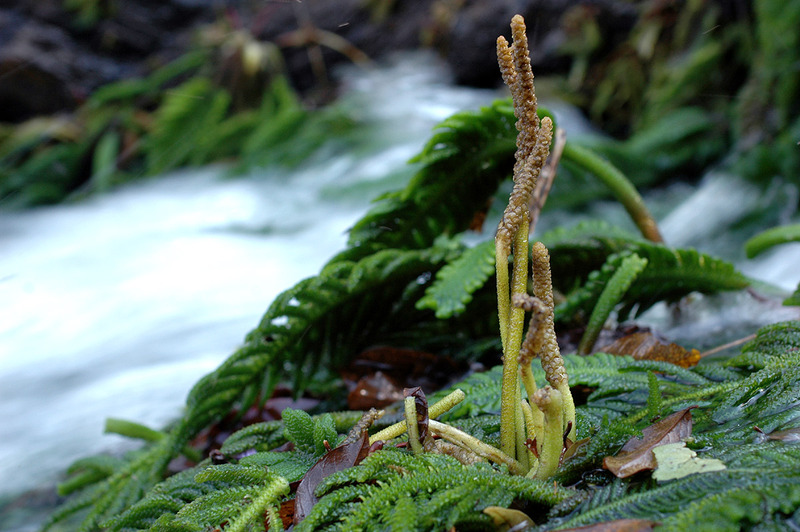 There is a general lack of understanding of the link between rain and the ecosystems that sustain flows of good quality water on the one hand and on the other, the negative impacts we have on these life support systems from inappropriate development in the catchment, including the built infrastructure for storing and conveying water. 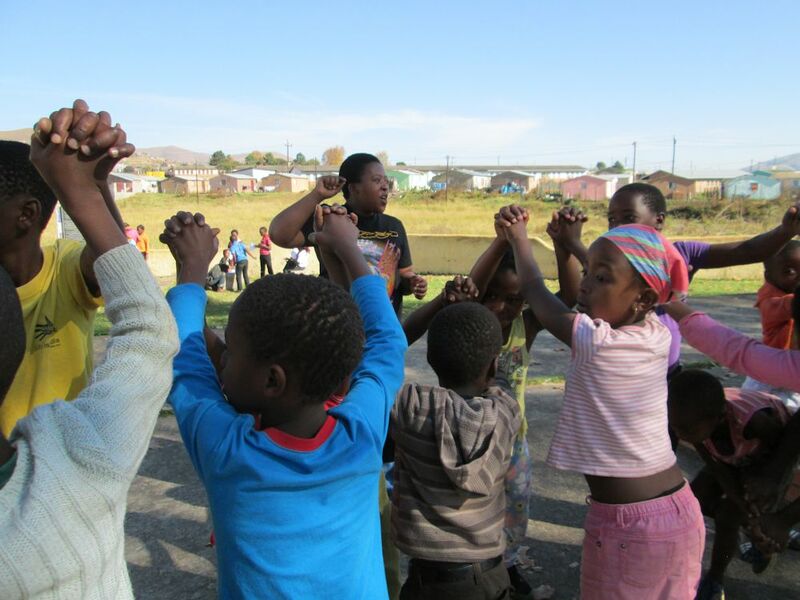 There is an increase in demand for water throughout KZN (and elsewhere, with export of our water to other provinces) due to increase in population and a move to urban areas. 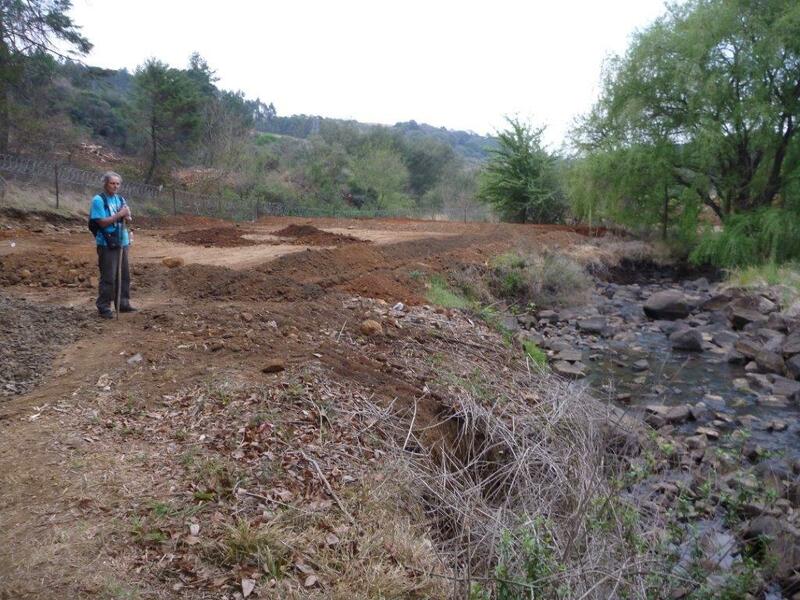 This in turn drives development of the remaining open/green/natural spaces, additional dams and inter-basin transfers. We are now affecting the functioning of the remaining ecosystems responsible for the continuous flows of good quality water. This will have a further effect on the capacity of these life support systems to provide us with the essential basics for daily living. Water does not come from a tap! 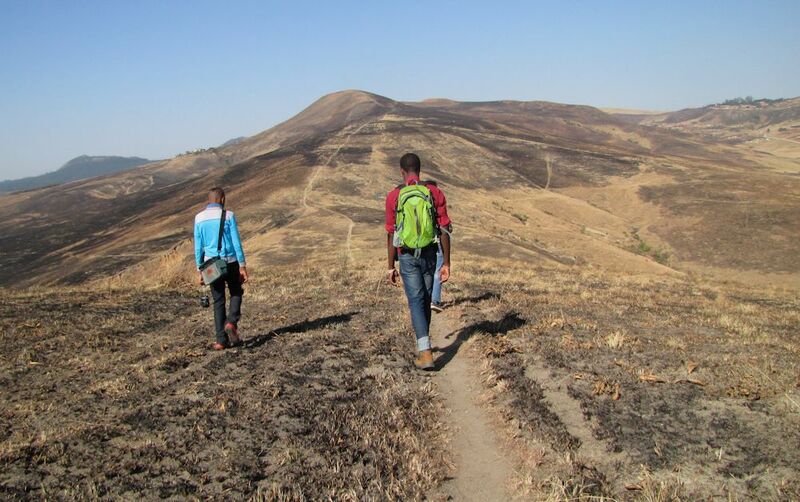 We cannot continue to transform/develop the grasslands and forests (or allow deterioration from alien invasive plants and erosion) at the current rate, especially the watersheds and the aquatic ecosystems they support, on their life-sustaining journey to the sea. 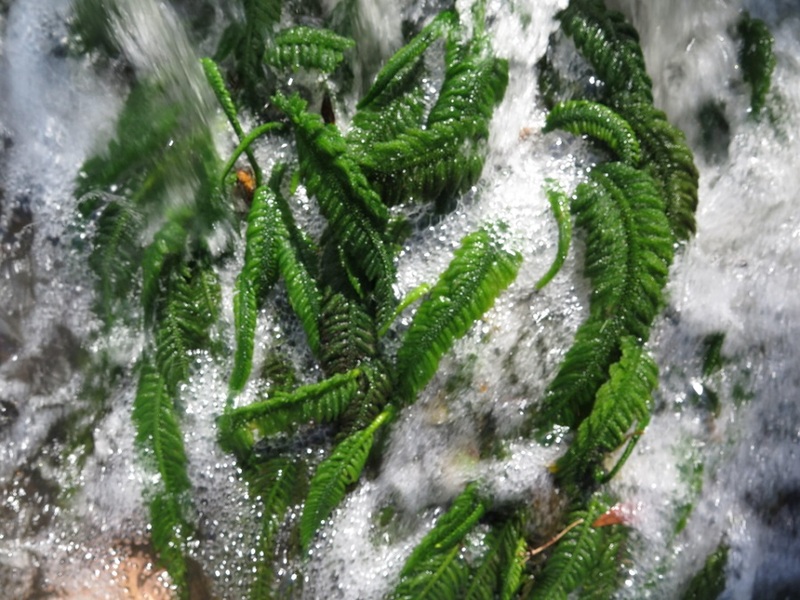 Investment in ecological infrastructure is essential before we build more dams or transfer more water between catchments to support growth that is unsustainable – there are limits to growth and the availability and quality of water is setting the boundaries, whether we like it or not. 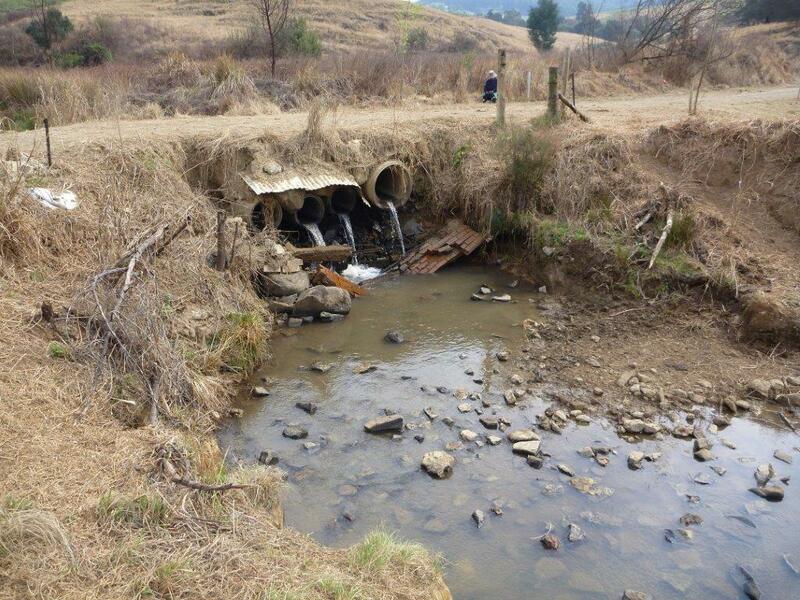 It would also provide much needed work for people living in the catchment. 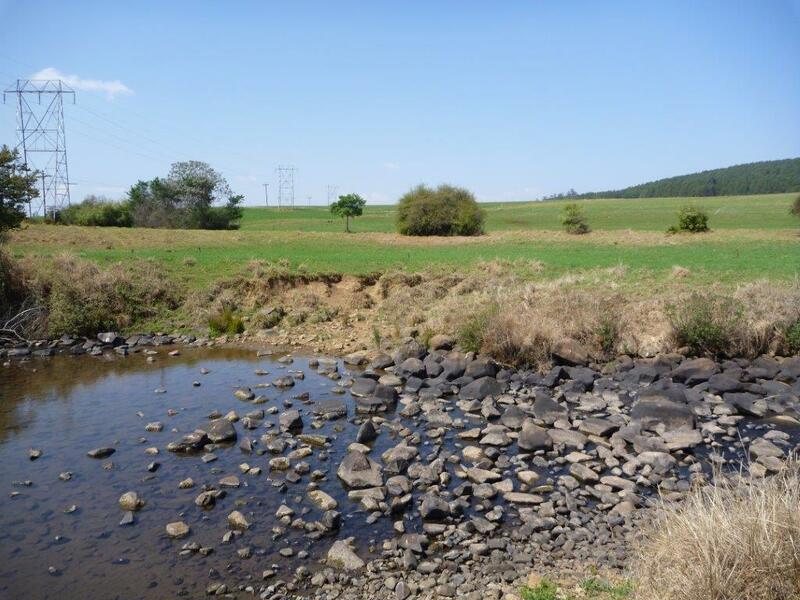 some KZN dams can no longer be used due to the silt load and/or eutrophication but were built at great cost (financial, social and environmental). As a result, eThekwini Metro, Msunduzi Local and uMgungungdlovu District Municipalities have started to invest in ecosystems and this needs to be replicated around KZN by all spheres of government, industry and communities alike. We have all felt the violence of service delivery protests from community frustration at just a local level. 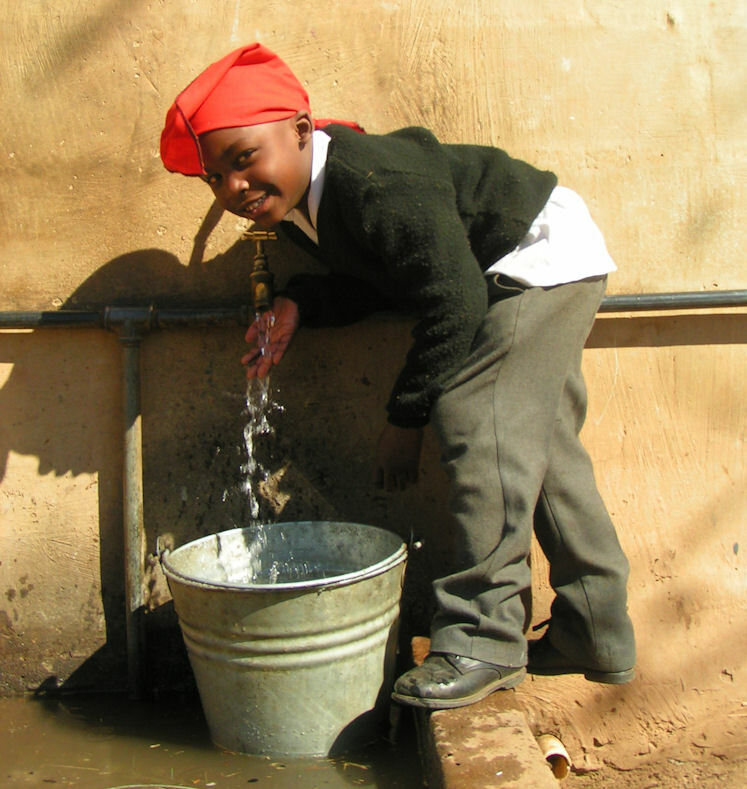 Can you imagine what will happen when all the taps run as dry as the rivers that supply them? The back lash from the electricity load shed we are currently (pardon the pun!) experiencing will be piddling in comparison. We need to ensure that people understand this is a finite resource and everyone cherishes every drop and protects the ecosystems that struggle to provide for our needs. Please help to inform and inspire your colleagues, friends, family and networks. 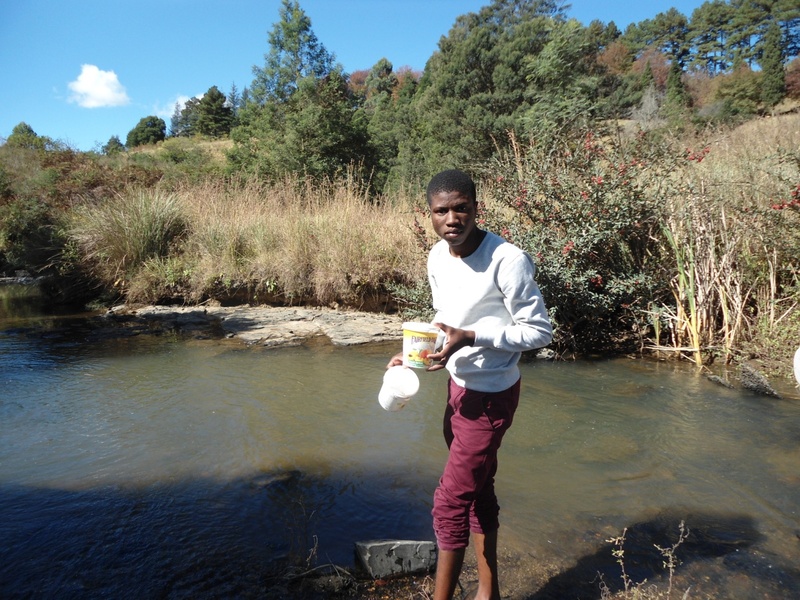 This entry was posted in Environmental Issue and tagged ecological infrastructure, rivers, Thukela river, water, water extraction on December 2, 2014 by Midlands Conservancies Forum. 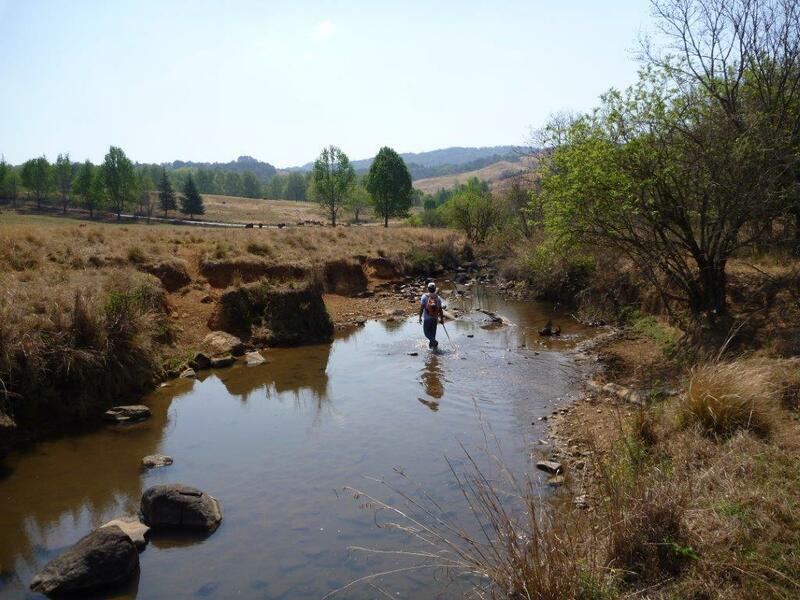 How do you respond to a community who are facing the future impacts and threats of phase two of the Mooi-uMngeni Transfer Scheme, initiated in the mid 1980’s when phase one of this scheme came into operation, transferring water from Mearns Weir on the Mooi River into the Mpofana, a tributary of the uMngeni? decline in the ecology of the river, canalisation i.e. 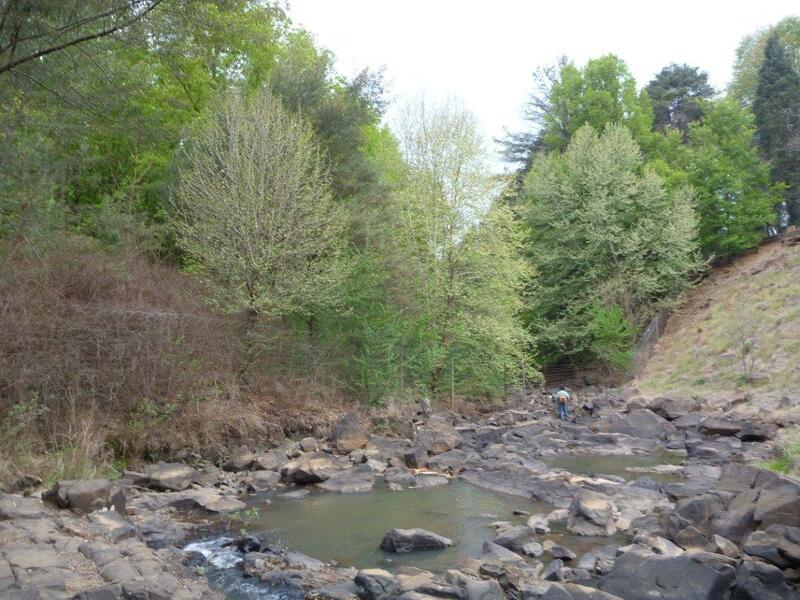 the straightening out and acceleration of water flow and erosion of banks, and future lack of seasonal variation in flow – the highs and lows which are part of the healthy riverine ecology. 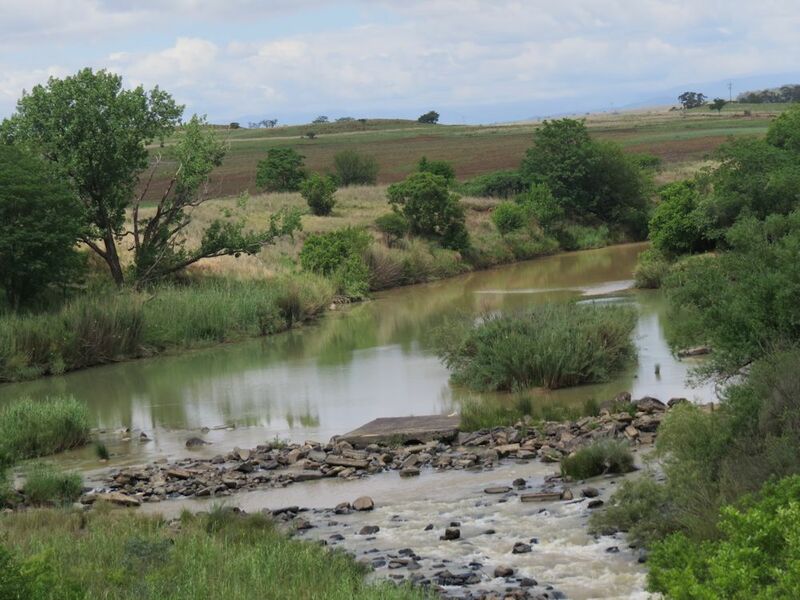 From a macro picture the two big threats that affect rivers with transfer schemes worldwide, are transfer of nutrients, invasive plants and other contaminants from the transferring catchment, in this instance, the Mooi River. 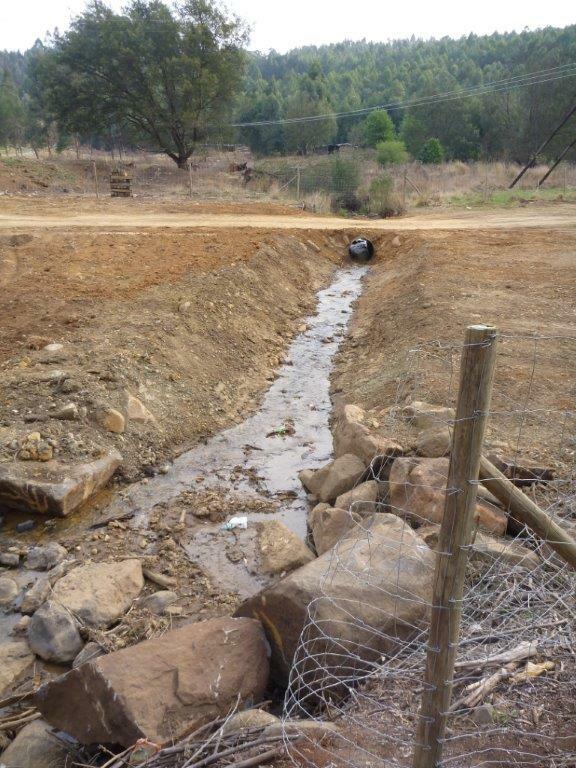 Transfer schemes are recognised as contributing to the reduction in riverine ecology and reducing the lifespan of dams through siltation. 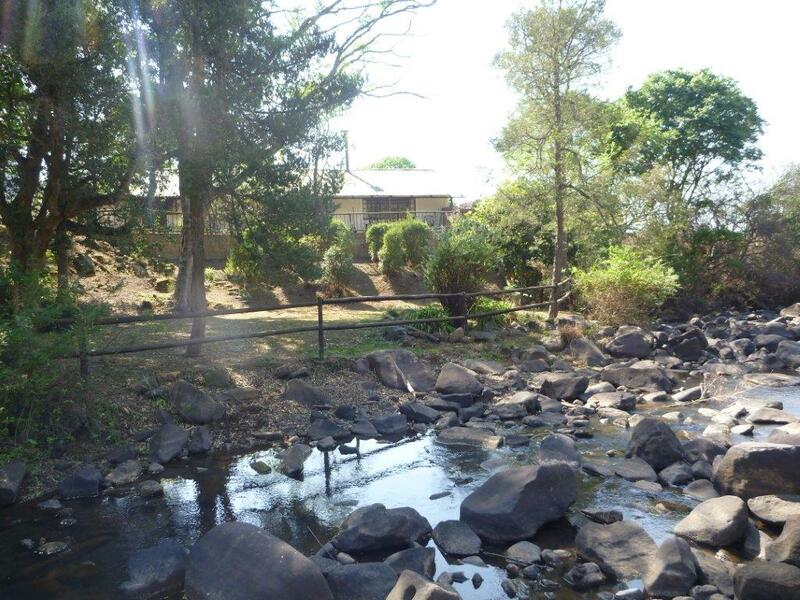 These are some of the issues that came under discussion at a meeting of the Balgowan Conservancy last night at the home of chairperson, Yvonne Thompson, where members heard a summary of the three day Mpofana riverwalk by team leader, Penny Rees. 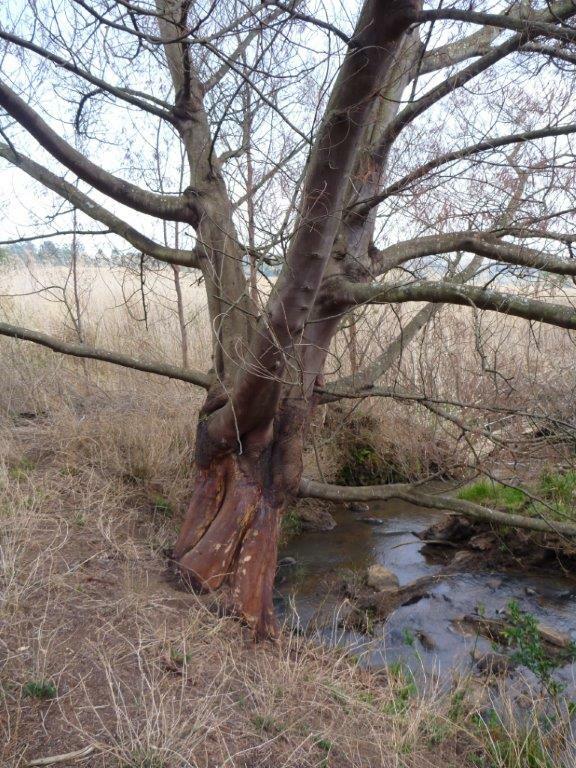 It must be noted that any disturbance of the natural riparian vegetation along the river banks will invite the presence of alien species, erosion, loss of soil health and biodiversity. 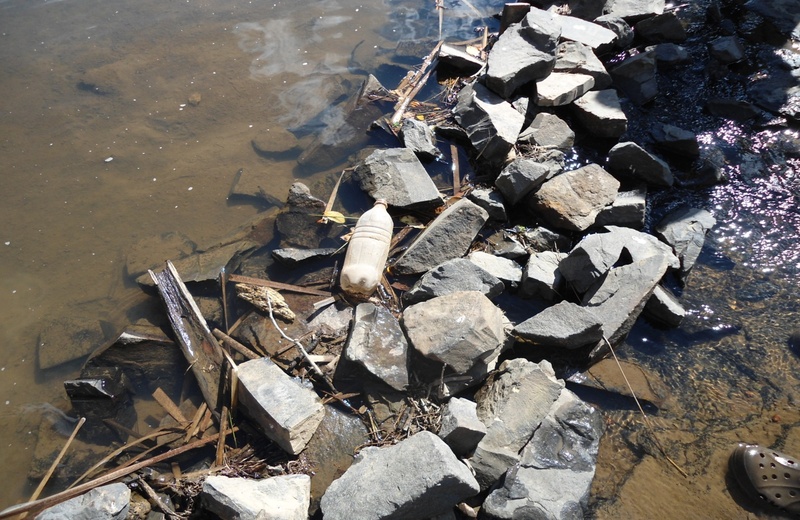 This loss, negatively impacts the health of the river. It is heartening to note the extensive work being done by the Balgowan Conservancy and landowners along the river to address some of these issues and in particular the eradication of alien invasive species. A huge congratulations and thank you to everyone involved in this valued work. It’s been a pleasure walking the Mpofana river and these are some of the considerations that we have held in mind as we made sense of our observations and make initial interpretations of the data collected. 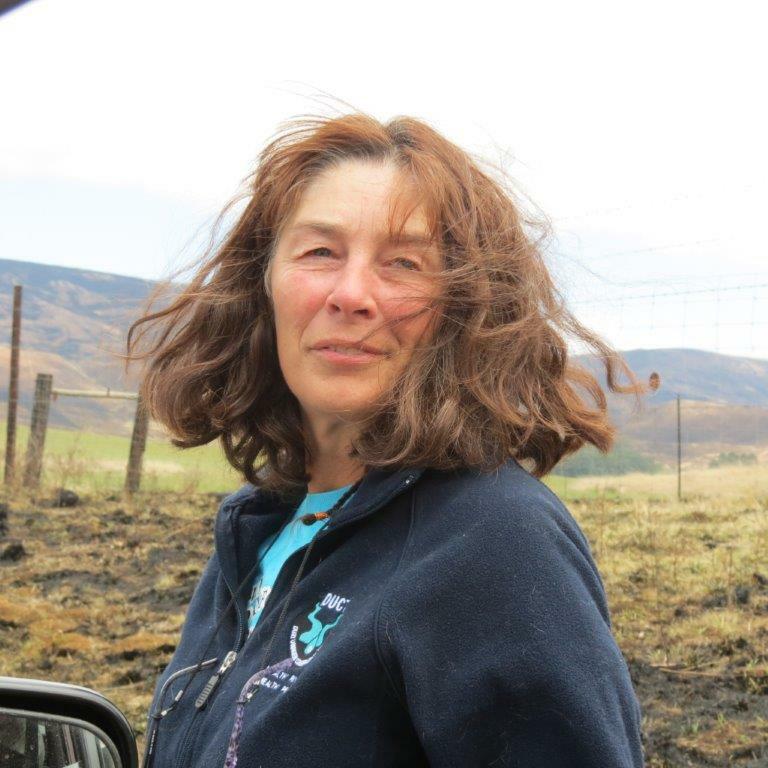 We are grateful for the support and enthusiasm of the landowners along the route and it is wonderful to interact with such a close community that cares so much about the river and the future of their valley. We would like to thank Yvonne Thompson for hosting the riverwalk team, for her kindness, generosity and hospitality in accommodating us in her beautiful home at Caversham Hall. 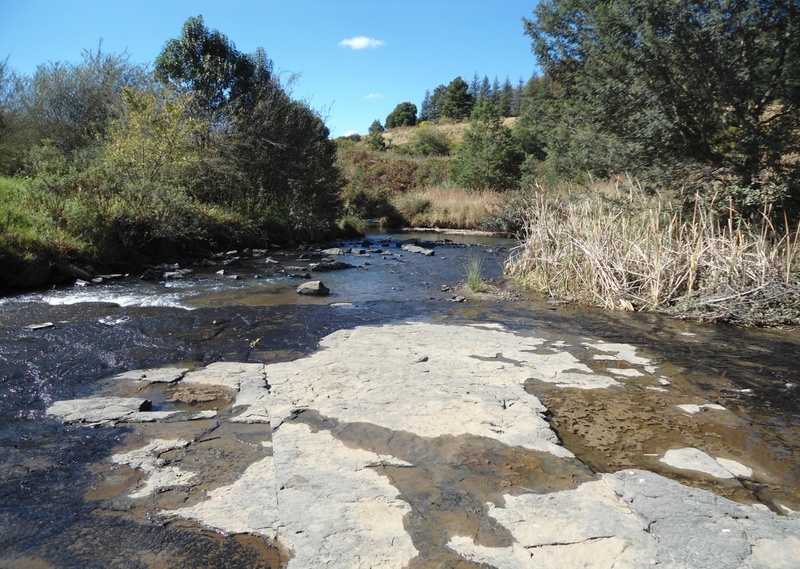 We wish the Balgowan Conservancy everything of the best as they continue their efforts to ensure the health of the Mpofana River and the well-being of the Balgowan community that act as custodians of this beautiful little river and all its tributaries. 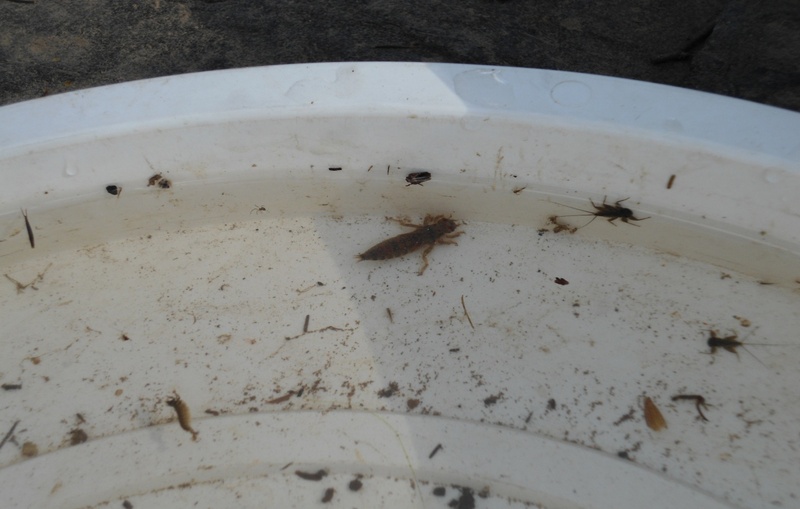 Tackle newly emerging alien invasive species as part of regular farm work on an on-going basis, prioritising riparian areas. 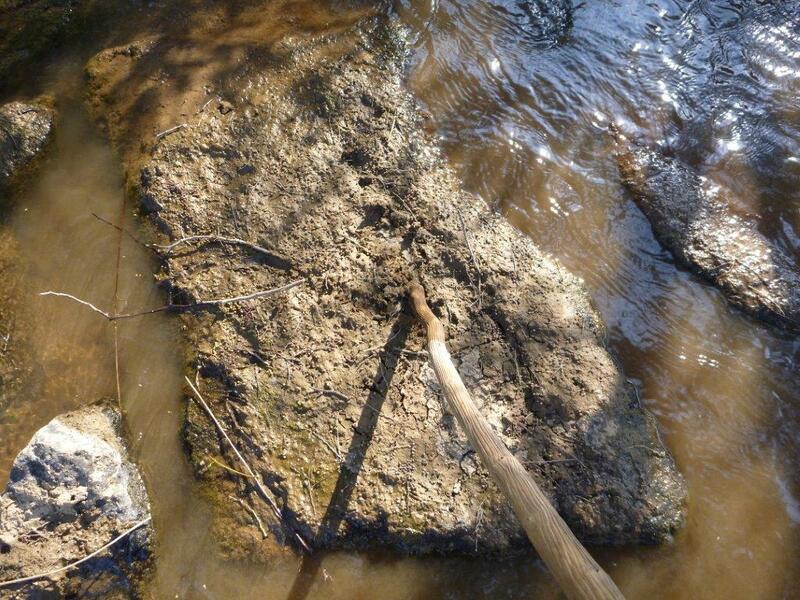 Based on the pending Mpofana Riverwalk Report develop a strategic plan and source funding for prioritising, implementing and coordinating the alien invasive species eradication programme. 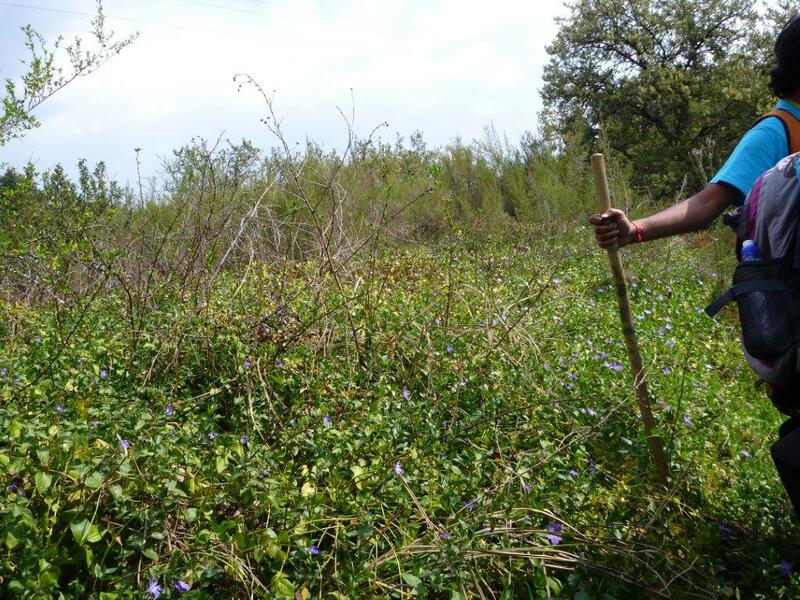 Target particularly invasive species which are not necessarily common invaders in this catchment, for example, Camphor, Privet and Syringa, Catsclaw before they become a future threat. 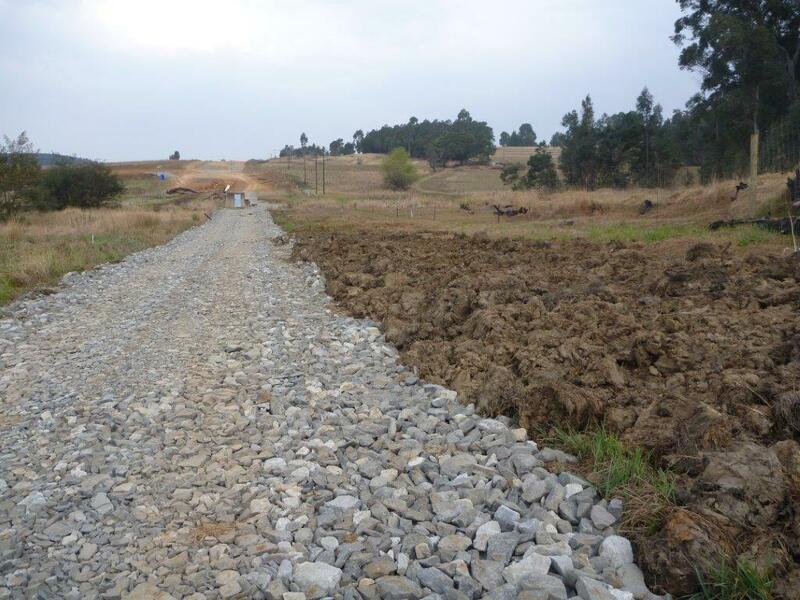 Ensure all new development goes through the appropriate planning process that ensure any application for development within the 32m buffer zone undergoes the necessary EIA and other planning process. As far as possible, limit or reduce livestock access to the river banks and into the river. 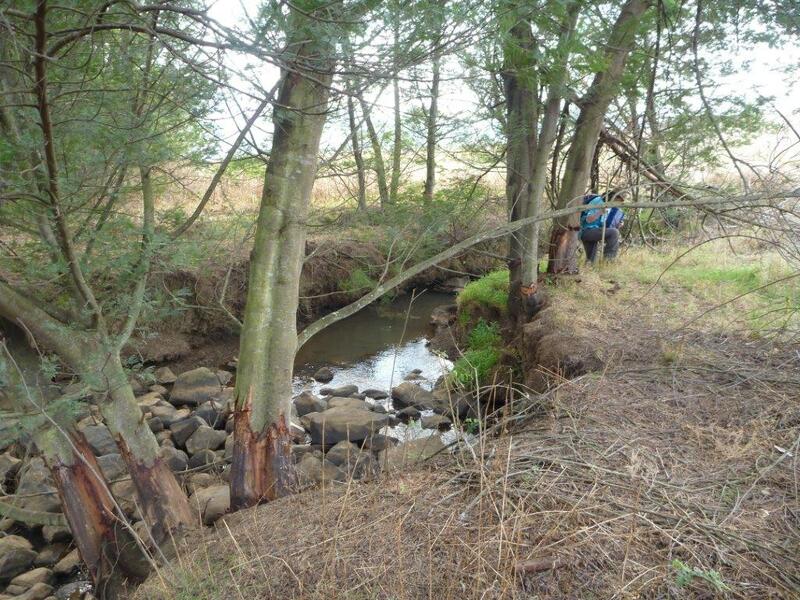 Develop a plan for the withdrawal and appropriate re-siting of existing intrusions into the 32m buffer. 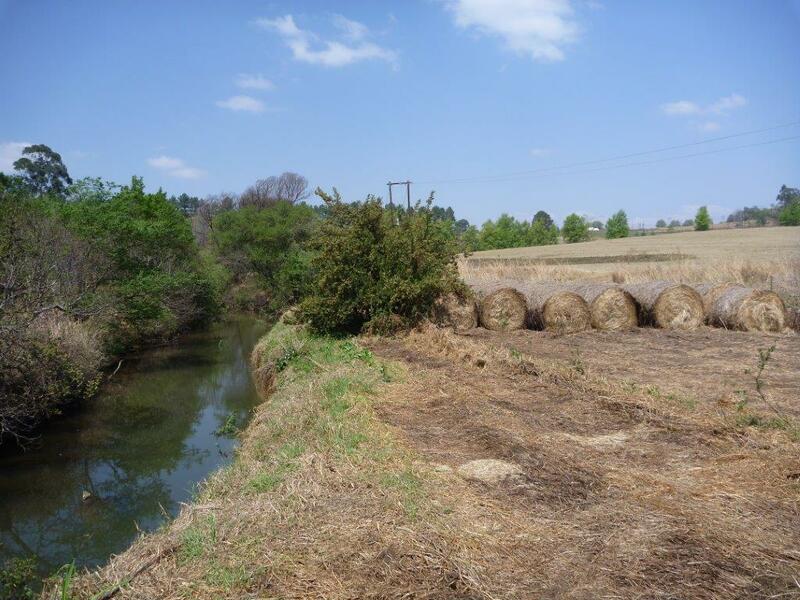 Avoid mowing in the 32m buffer, allowing for the regrowth of indigenous vegetation as habitat for riverine species, including invertebrates which are key species for river health. 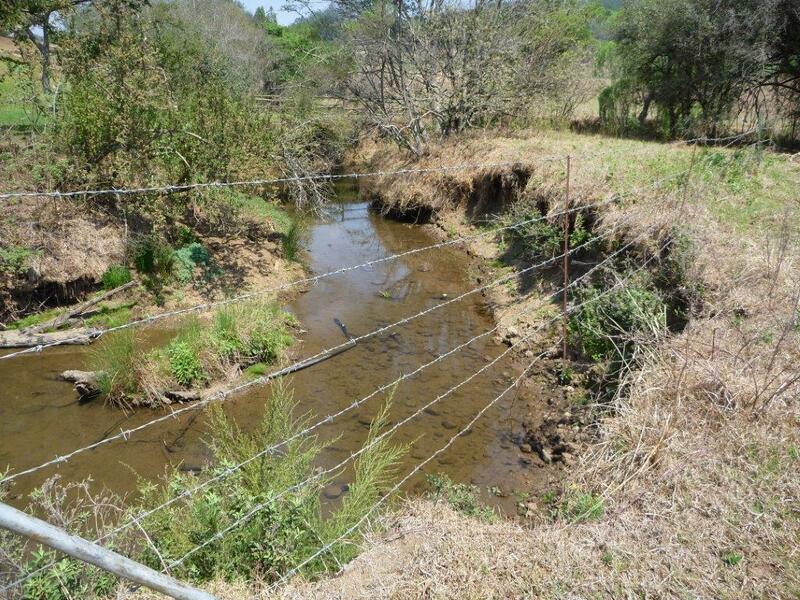 Ensure all dams release some water back into the stream to ensure that the stream remains healthy and does not dry up. This is usually done by means of a pipe built into the lower section of the dam wall so that there is always a flow of water being released. These pipes sometimes block and stop functioning and need to be checked regularly. 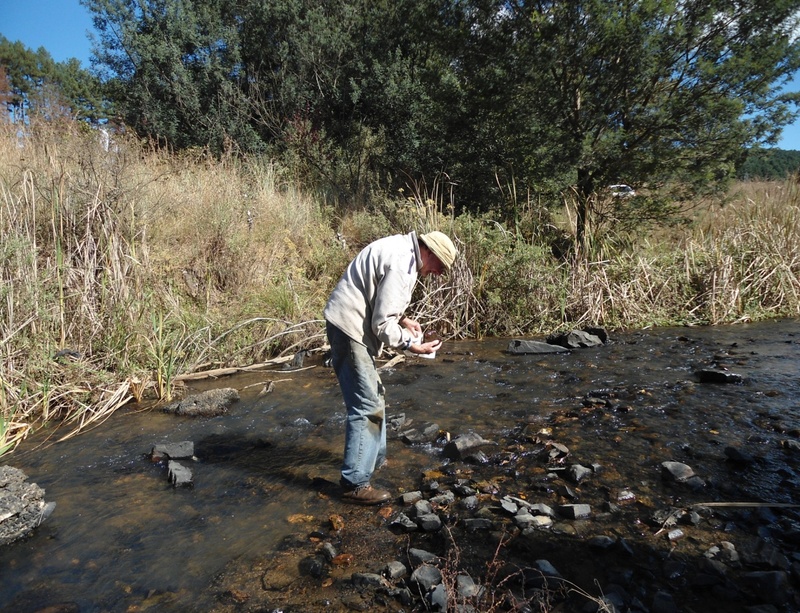 Monitor your stretch of your river, measure the size and depth of the channel, take regular photographic evidence. Be in contact with the ECO (environmental compliance officer) for the MMTS pipeline and insist on regular updates and community interaction. Obtain a copy of the EMP (Environmental Management Plan approved as part of the ROD (Record of Decision) and check that this is being followed. 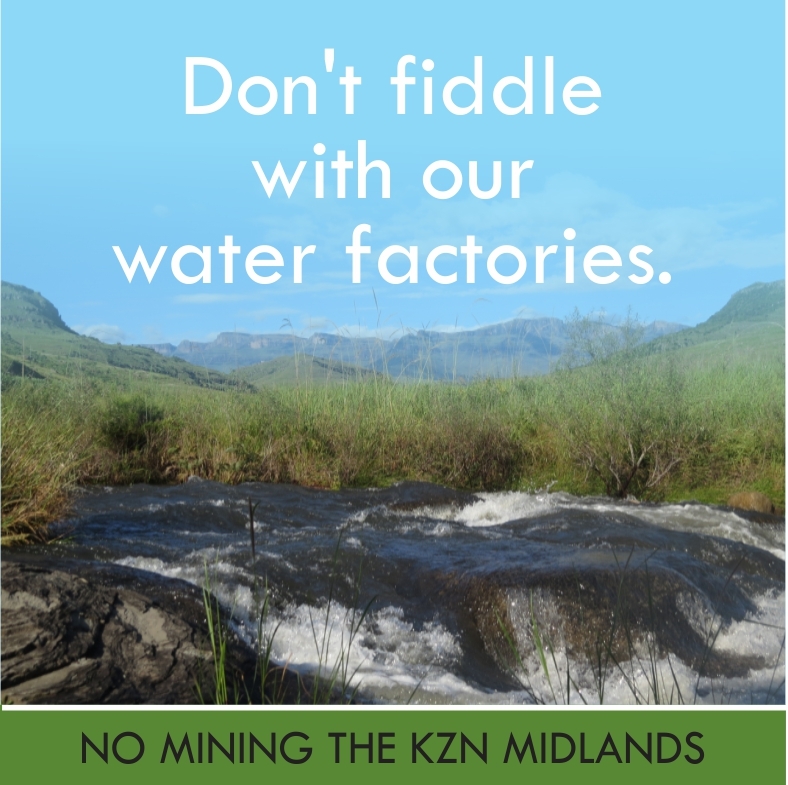 Constitute a Water Users Association as legislated within the Catchment Management Agency framework to legalise and protect your water rights and to enable recognised interaction with respect to both the health of the Mpofana and the impact of the transfer scheme. 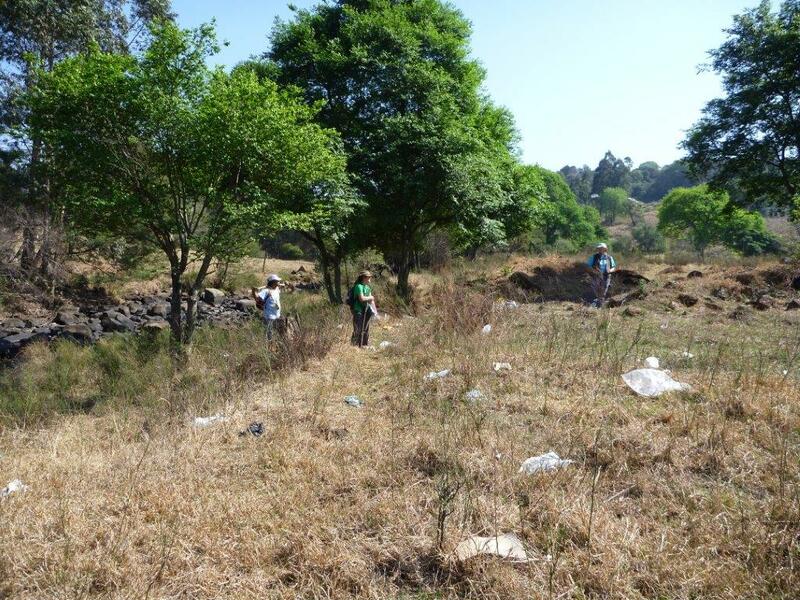 Know and take up your rights with respect to public participation and protection of the environment and don’t give up in the face of the challenges facing the Mpofana and its community as custodians of this river and its significance within the greater context of Kwazulu-Natal. 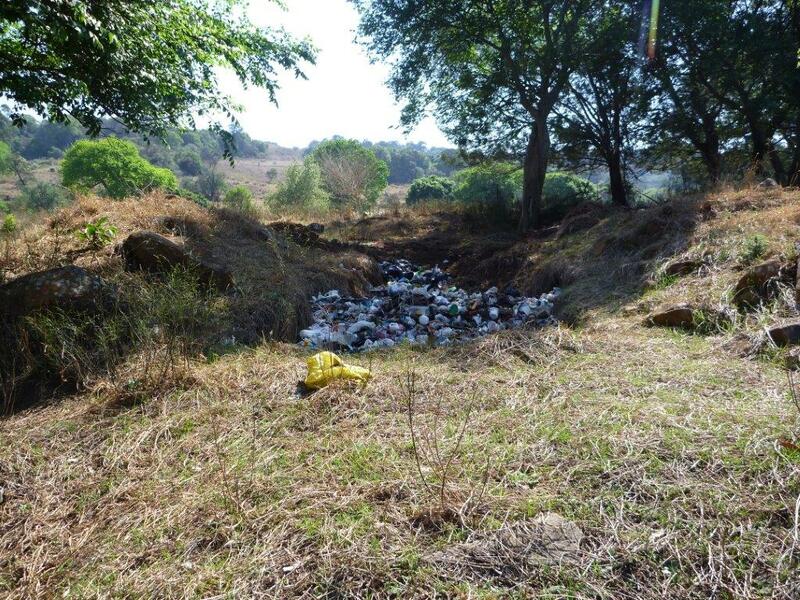 This entry was posted in Conservancy Action, Environmental Issue, Water and tagged balgowan, ecological infrastructure, mpofana, rivers, spring grove dam on September 27, 2014 by Midlands Conservancies Forum. 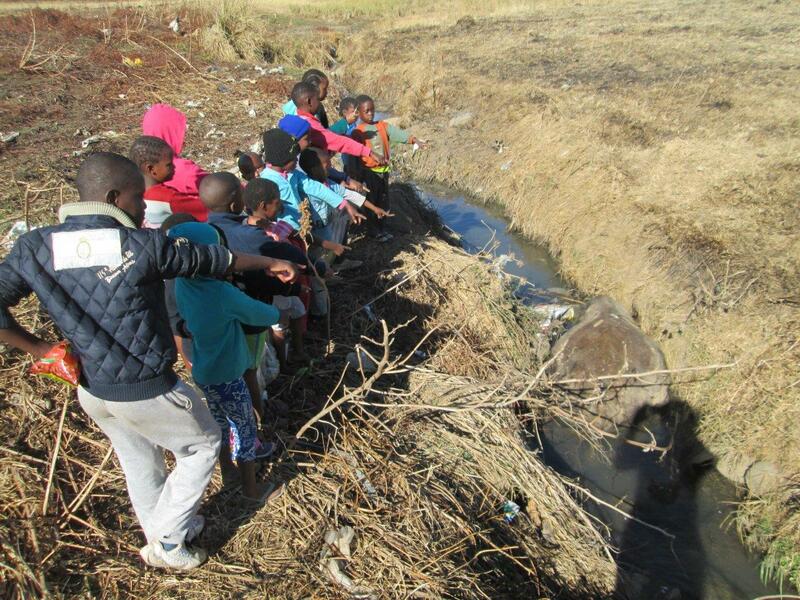 From Mooi River to Mpophomeni, eco-conscious kids had heaps of fun in the sun while learning about important environmental issues and taking action too. Other Midlanders might have headed for far flung places to escape the cold and tick things off their bucket lists, but, actually, there is plenty to entertain one right here without expanding your carbon footprint. 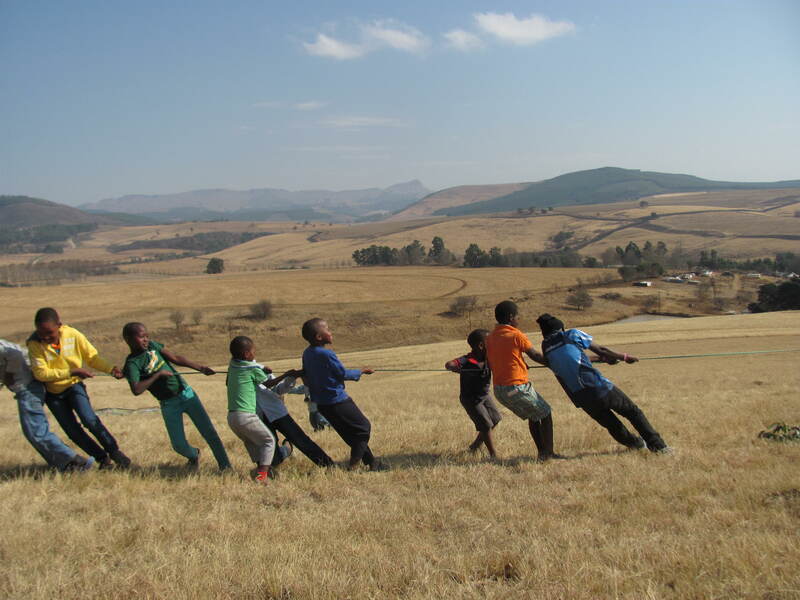 Bruntville Imisebe Holiday Club members were fortunate to visit the Bill Barnes Crane and Oribi Reserve and began the day with some milo to warm up. 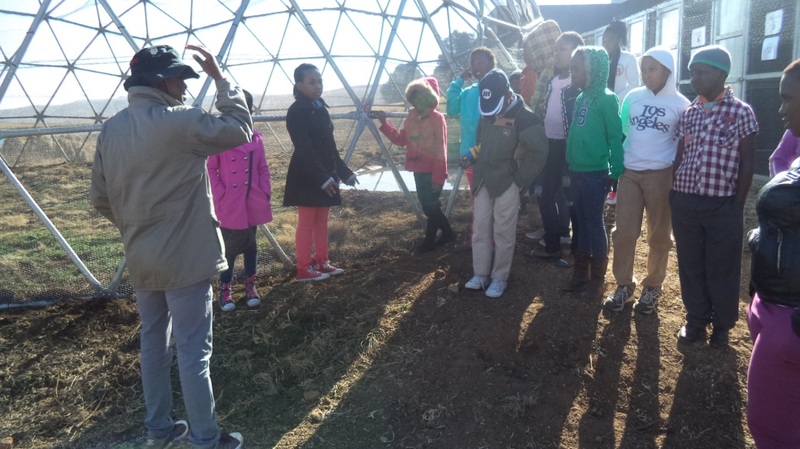 They learnt all about Wattled Cranes and visited the new Chick Rearing Nursery situated on the edge of the dam, asking so many questions. 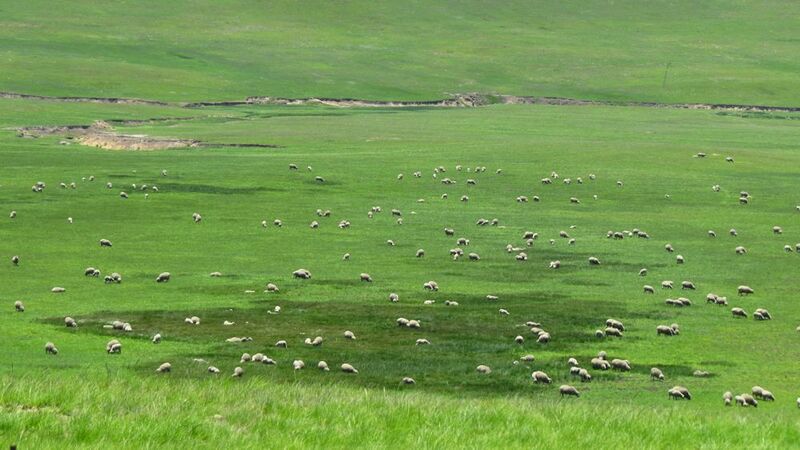 A two hour walk exploring the sunny grassland followed. Reed bucks were spotted running down the hill and they also saw a grey heron and a puffadder (for some it was the first time they had ever seen a snake) “We love our nature, but we didn’t know that there is lot of fun in the grassland and that animals need each just other like us.” Smanga Manyoni said with a laugh. Hiking is a great way to warm up. 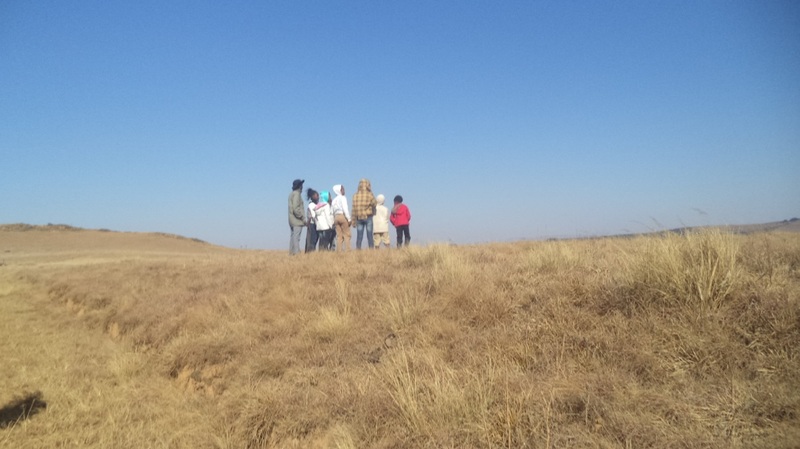 These teenagers headed into the hills surrounding Mpophomeni to explore. 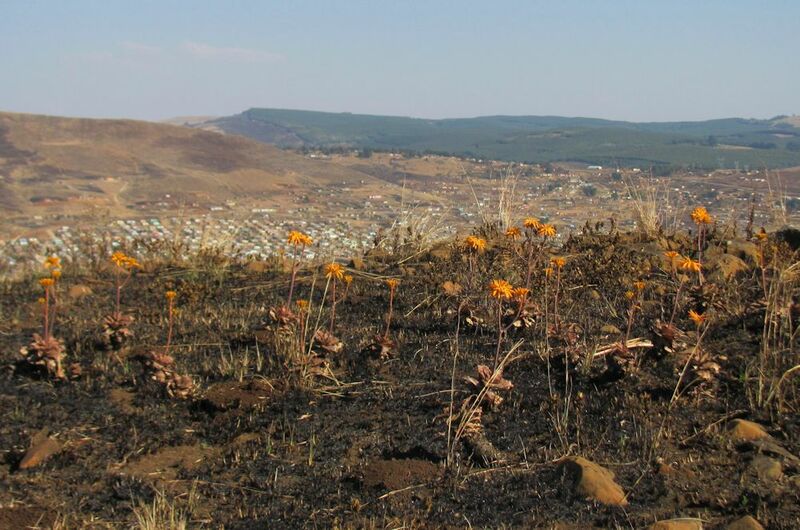 In many places, the grass had been burnt, but Aloe maculate was still flowering. Using binoculars donated by N3TC, they were able to see for miles. 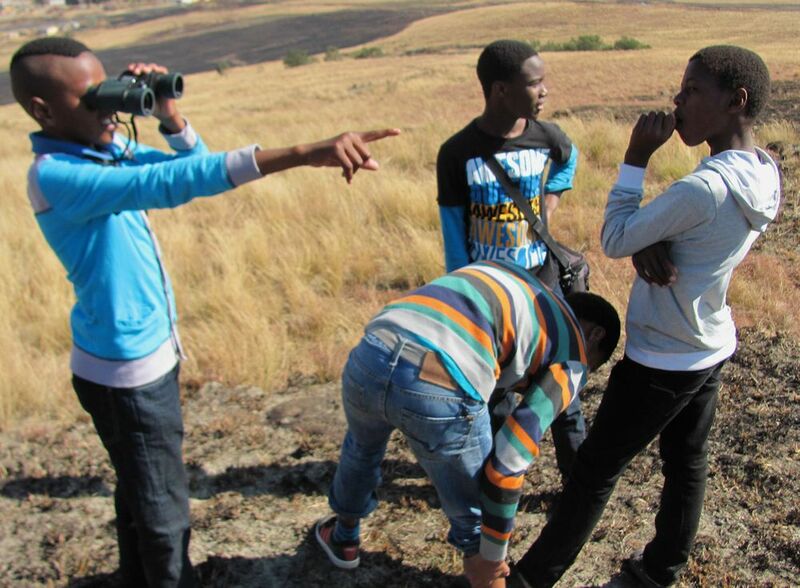 “We can see Midmar so clearly” said Sihle Ngcobo. Everyone really enjoyed taking these photos with the camera donated by Sue Hopkins. 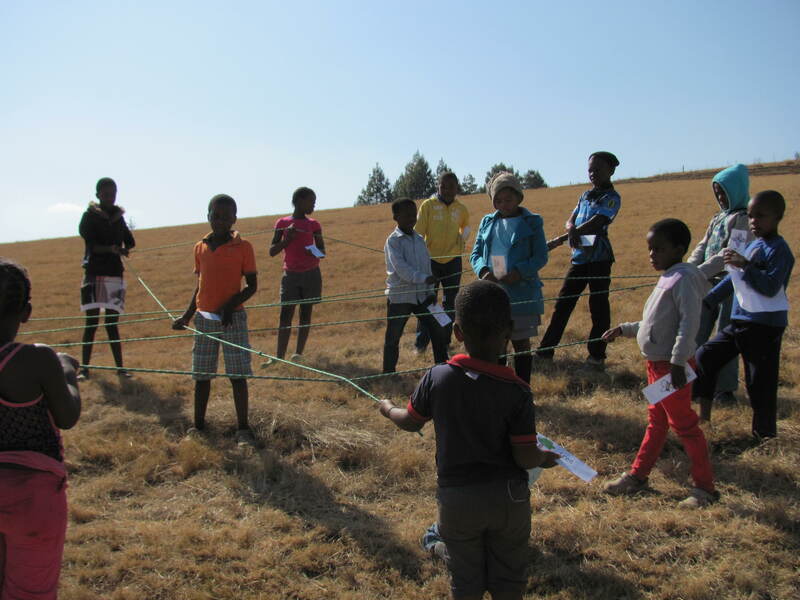 At the Bill Barnes Crane and Oribi Reserve, Beautiful Cranes Nature Club members brought along friends who were spending the holidays in the area. After warm up games (really appreciated by the visitors from Durban! 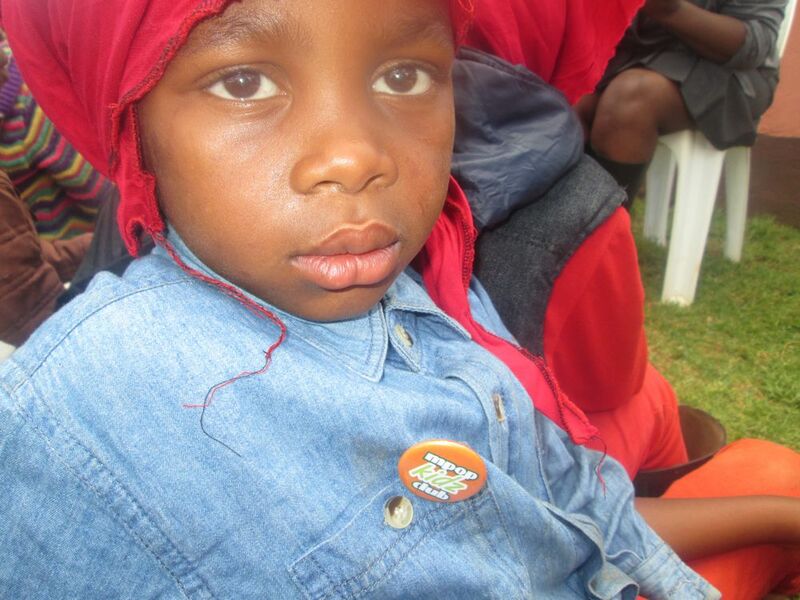 ), Nkanyiso introduced the ‘feed the chicks’ activity. This activity teaches that both the mother and father crane share responsibility of feeding and looking after the chicks. This involves looking for their food and also placing it in their beaks. In groups some kids become ‘chicks’, while the ‘parent’ picked up leaves using the Wattled crane puppet and feed the chicks. 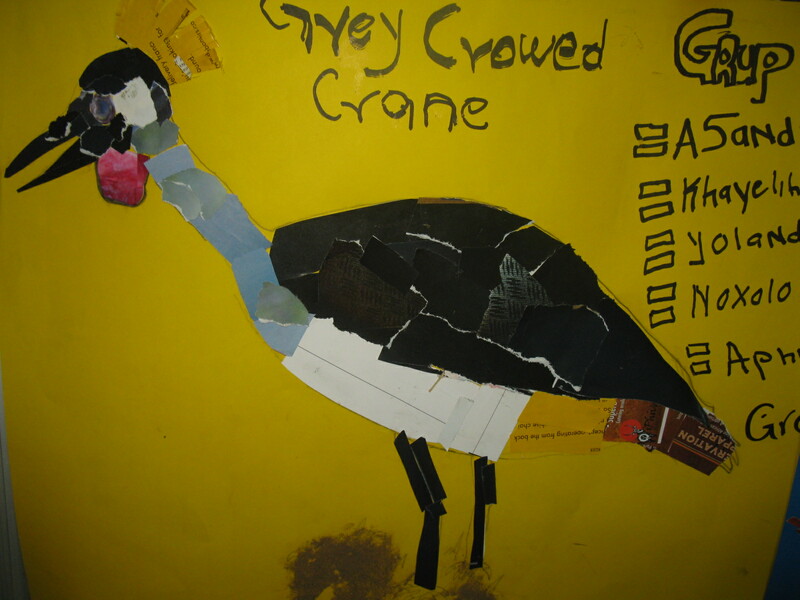 Using colours torn from old magazines, they all created very beautiful posters of the three SA crane species. Each group had to share what they knew about their crane. All hands were in air and they answered correctly. 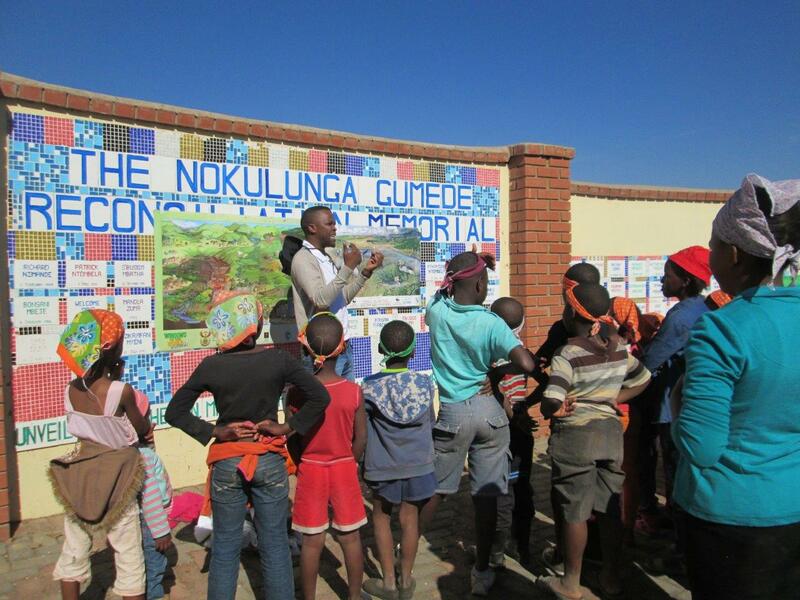 Learners were having fun interacting with one another and all three groups came up with beautiful posters of cranes and every one was happy. 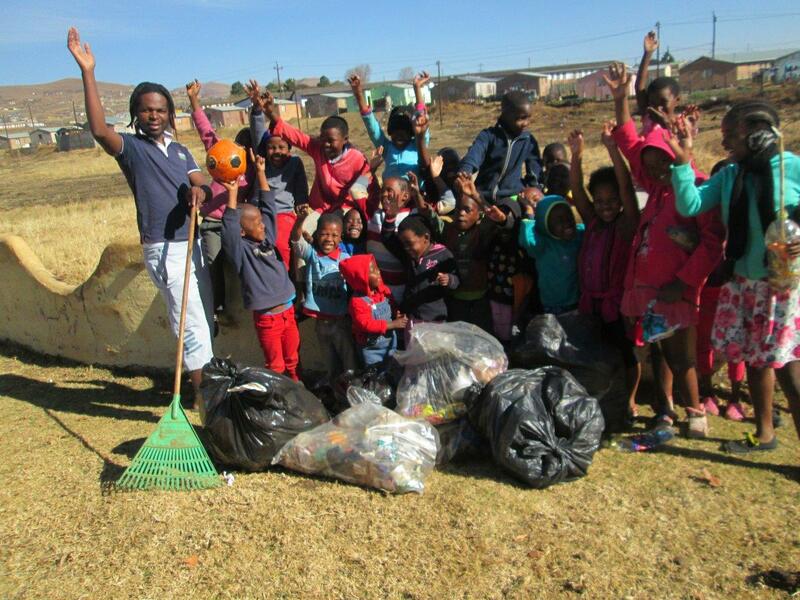 In Mpophomeni the Kidz Club conducted a Clean Up in the uMthinzima stream near the library. 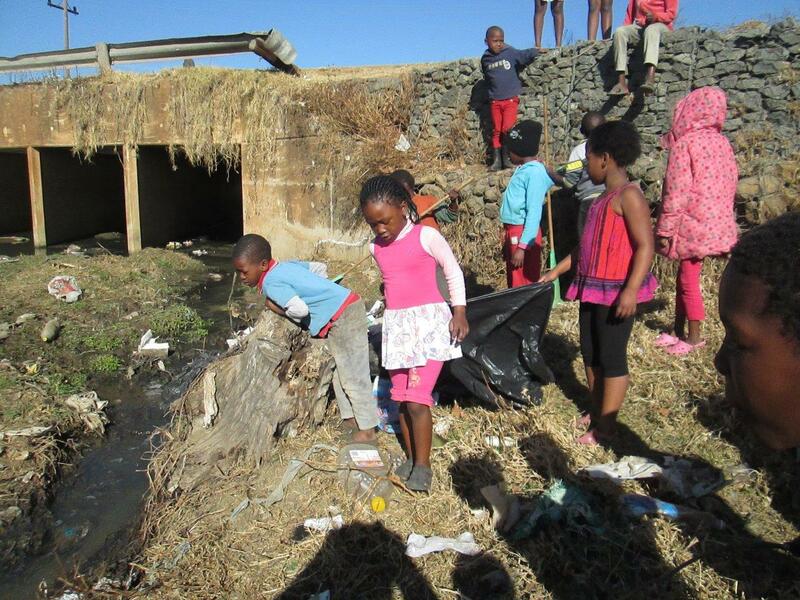 They chose that spot because they are concerned that the dirty water pollutes Midmar dam. and were startled to find a headless, dead cow in the stream. Discussions afterwards focussed on the need to conserve water resources for future generations. 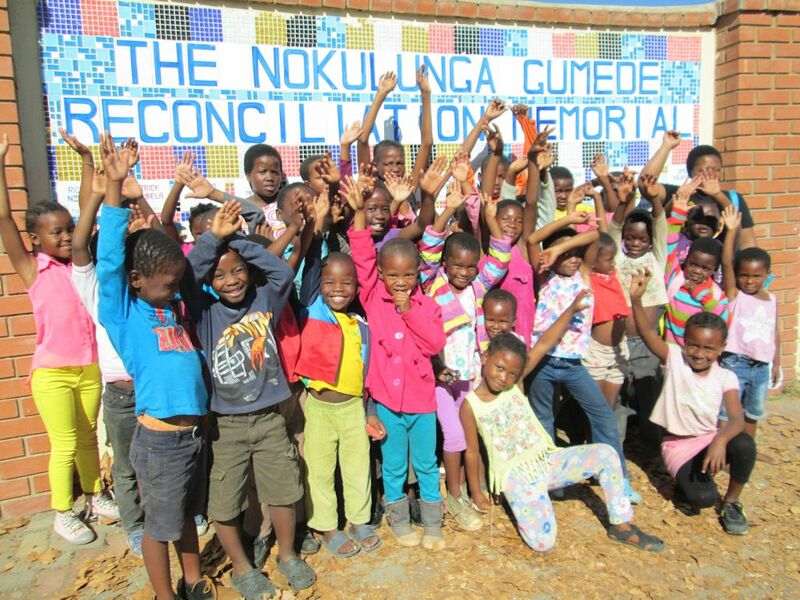 The Mpop Kidz Club gathers most Saturdays in the sunshine at the Nokulunga Gumede Memorial Wall. 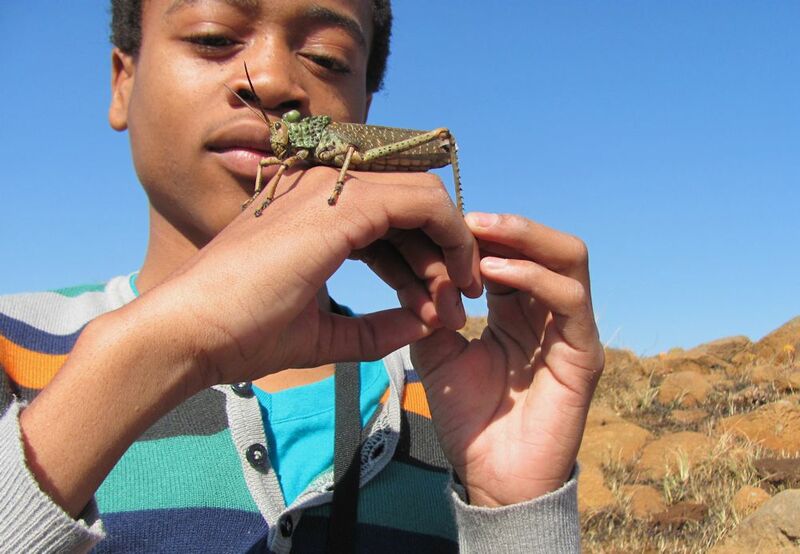 The Club is facilitated by Mpophomeni Conservation Group members – Ayanda Lipheyana, Tutu Zuma and Zamile Mtambo. 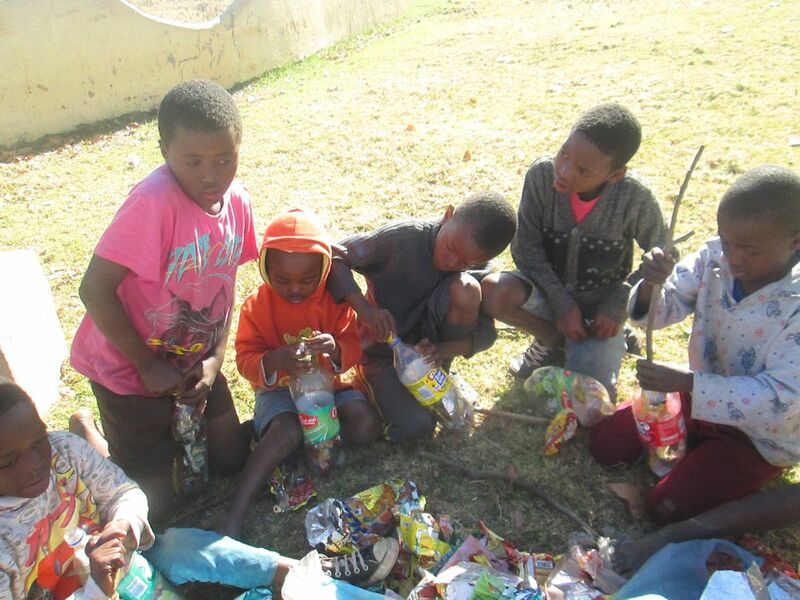 Their purpose is to help the kids understand the importance of respecting all living things in the environment and to use their creative skills to re-use waste and make useful things. 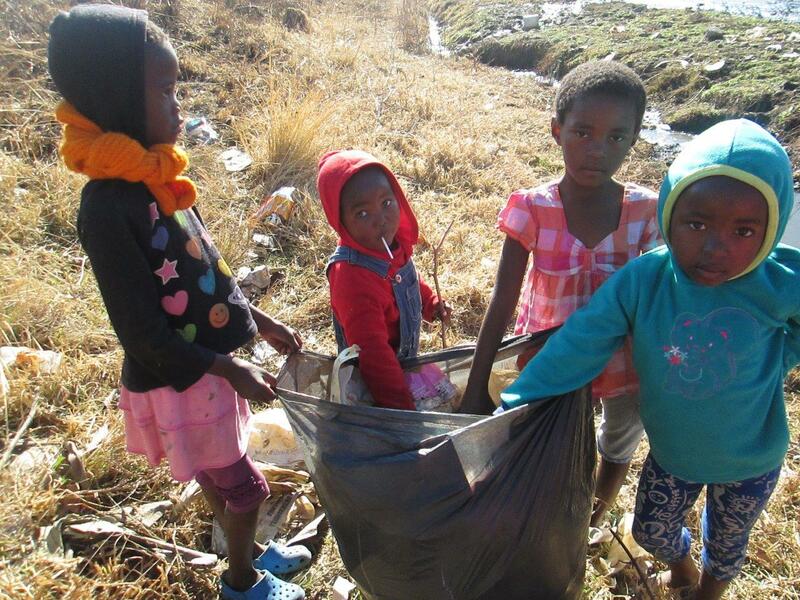 and Eco-Bricks from waste plastic, which is very often burnt as the municipal refuse collection is really poor. 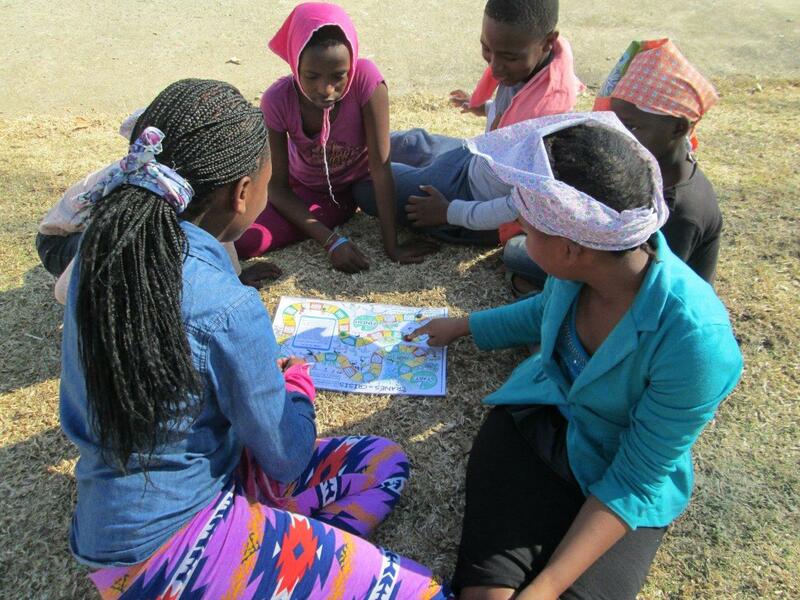 In July, they invited the Mpophomeni Enviro Club (facilitated by MMAEP) to join them when Nkanyiso Ndlela of the KZN Crane Foundation came to visit. 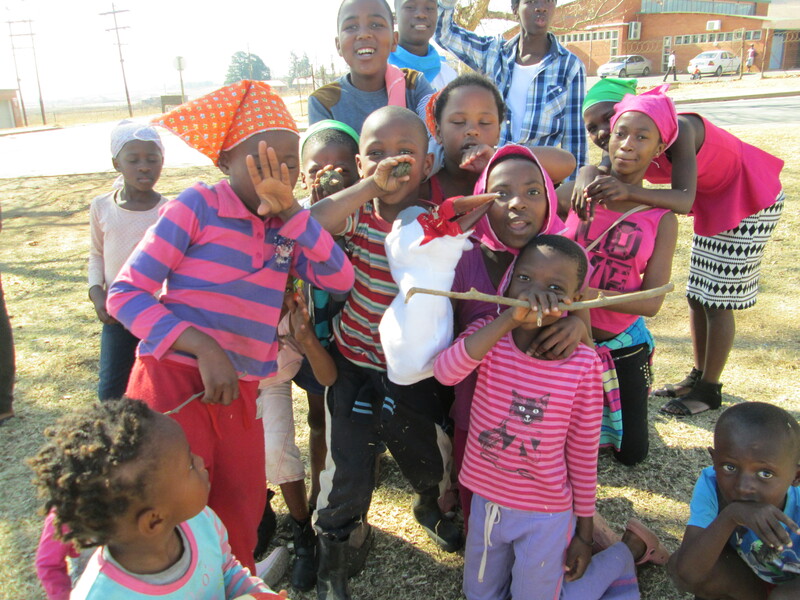 50 children turned up for a day of fun and learning. 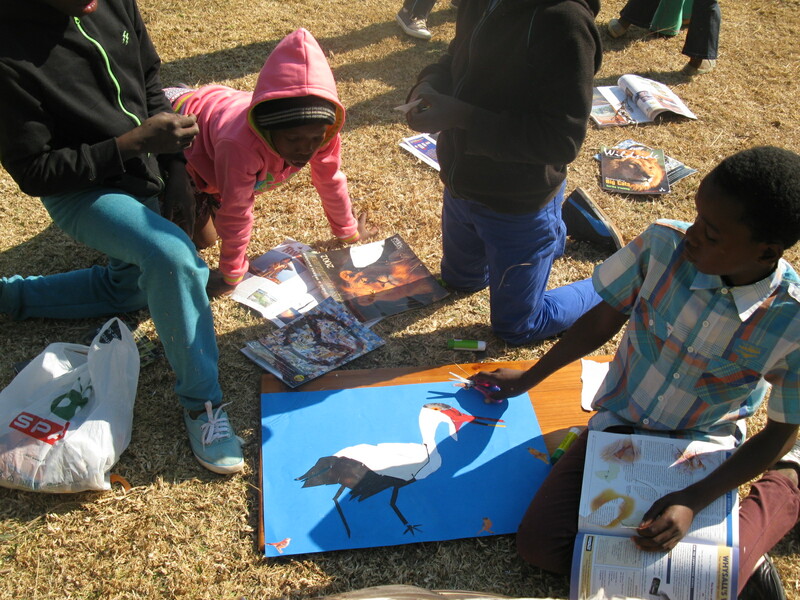 Nkanyiso did a presentation about the three African cranes using posters and shared that cranes are one of South Africa’s treasures – rare, precious creatures that have to be looked after. These special cranes have lived on our earth for millions of years. Over the ages, people thought about cranes as symbols of being faithful, good parents, bringing good luck and announcement of changing seasons. As cranes depend on wetland and grassland habitats to breed and feed, everyone played the Windows on our World wetland picture building game to learn more about this habitat. The Cranes in Crisis poster game helped learners to find out more about the things that cause cranes to become endangered, as well as what we can do to protect them. 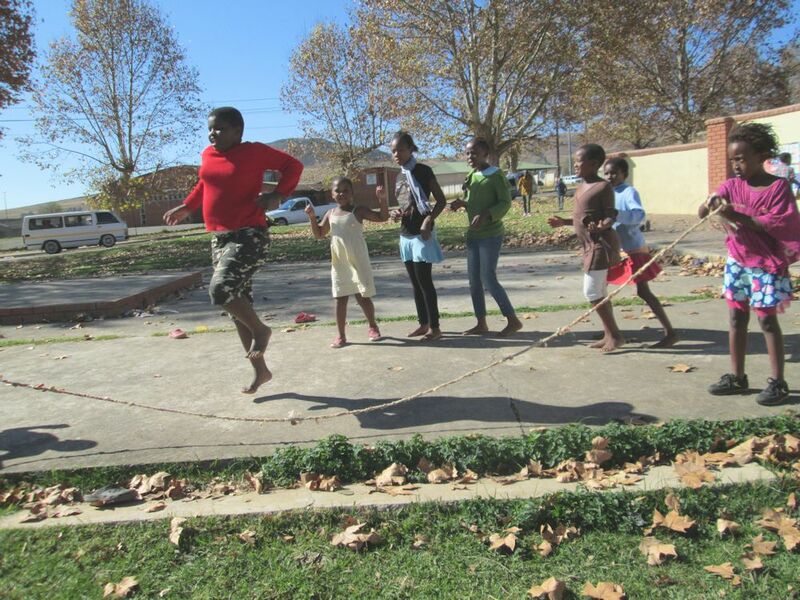 Learners were really focused and enjoyed this competition activity. They also played the Crane Feeding game, learning about the dedication of BOTH parents to rearing their young. 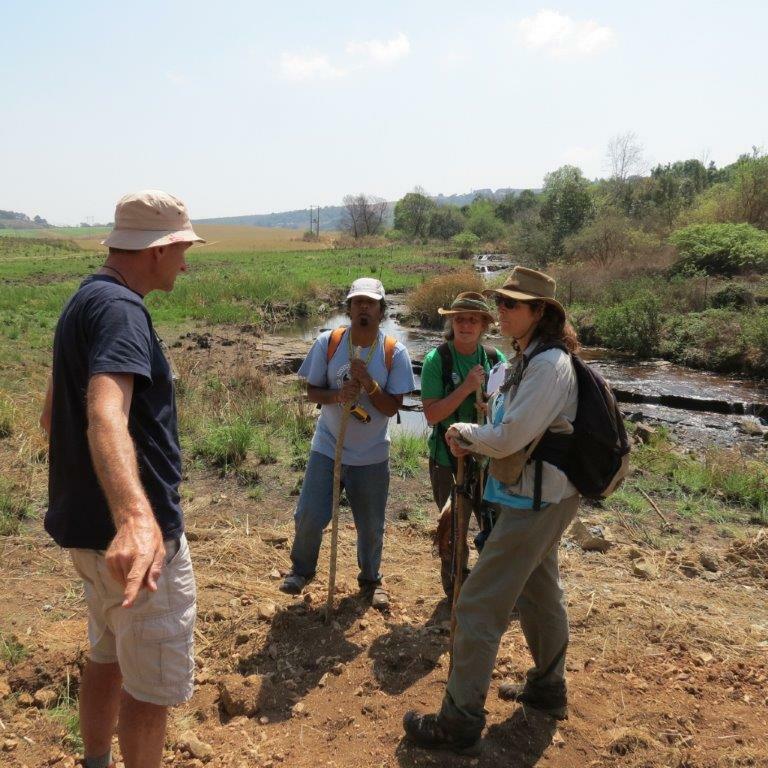 Across the dam, in Dargle, the Nxamalala Holiday Club sponsored by Dargle Conservancy met to learn more about biodiversity, and have lots of fun. 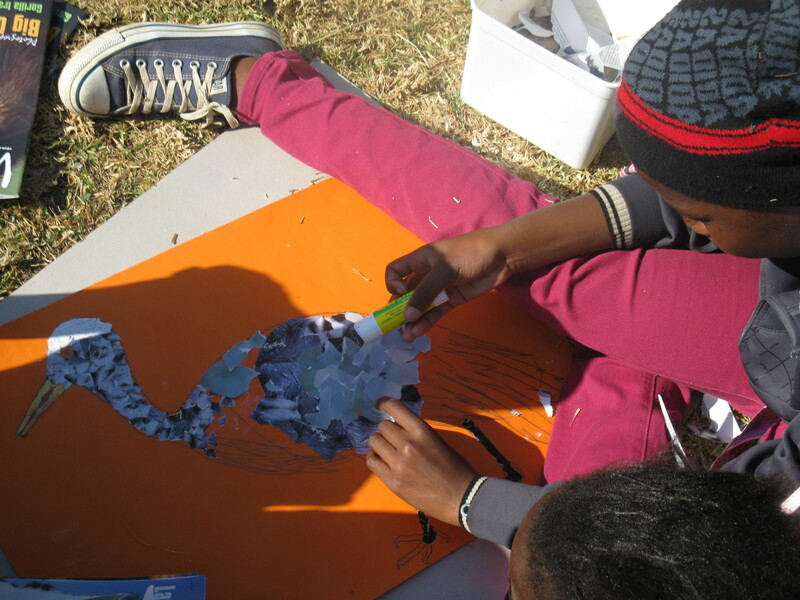 Facilitator Gugu Zuma reports: We made animals using leaves & grass (glued onto paper and drew eyes). 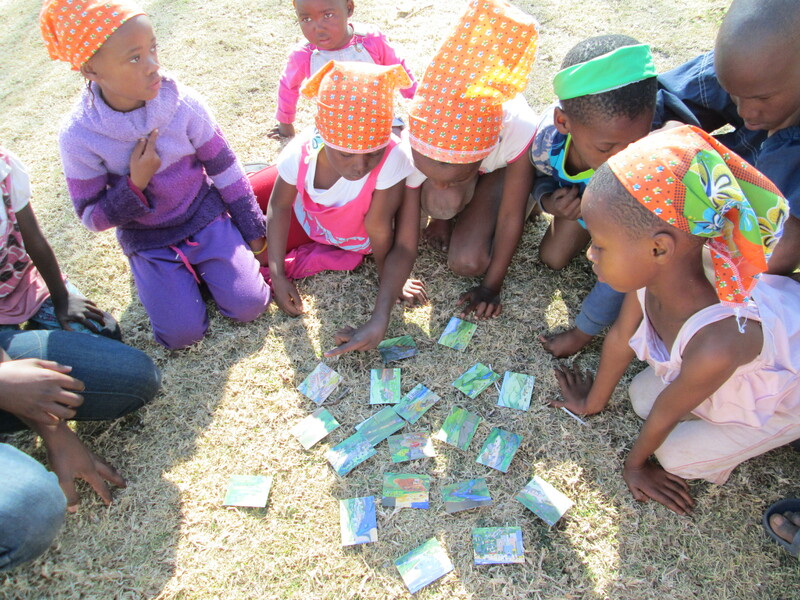 Then we played the Habitat card game to discover- where do creatures live? Is it Mammal, Reptile, Bird, Fish or Amphibian? Sort them into groups and look at where they live and their habitats – what they need to survive. We ended with the biodiversity web game which teaches about needing other animals (not just about what eats what!). 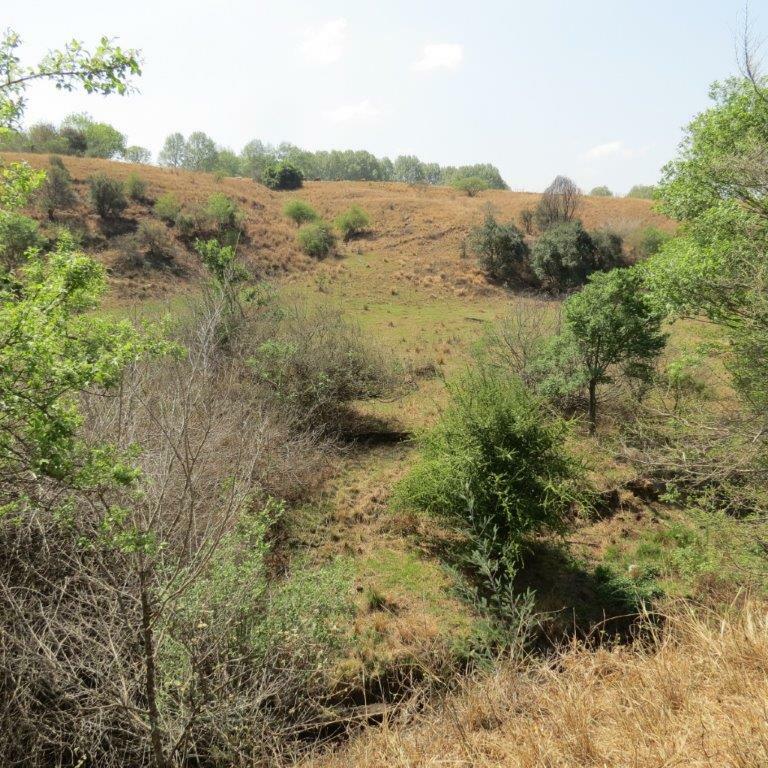 For example, a Baboon turn over rocks on the mountainside looking for insects to eat and this leaves a bare patch where seeds germinate and new plants can grow. From this we can deduce that without baboons there would be much less plant diversity. 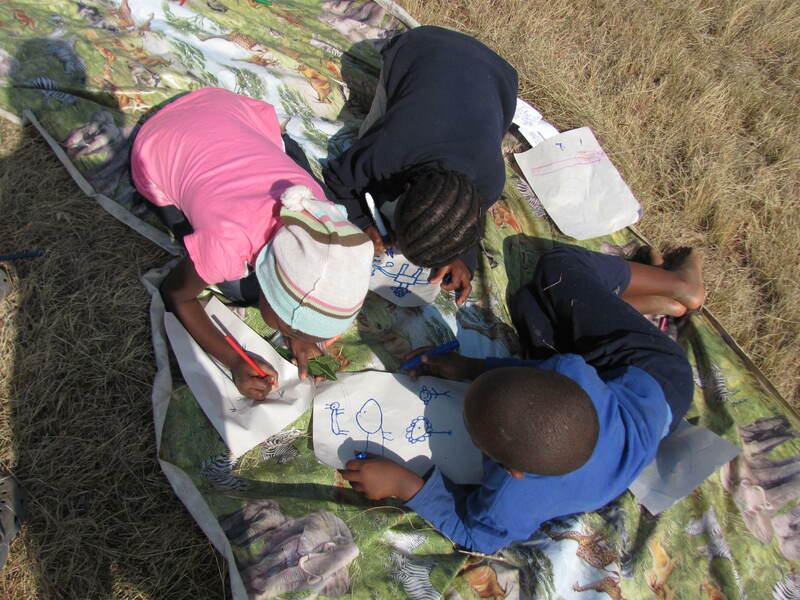 What did you do during the winter holidays to inspire kids to care for our planet? 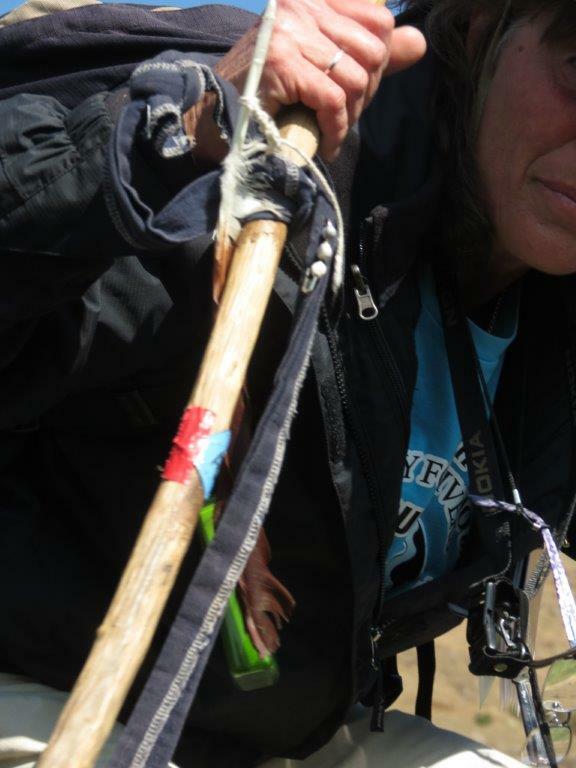 This entry was posted in Environmental Learning and tagged cranes, environmental education, rivers on August 1, 2014 by Midlands Conservancies Forum. 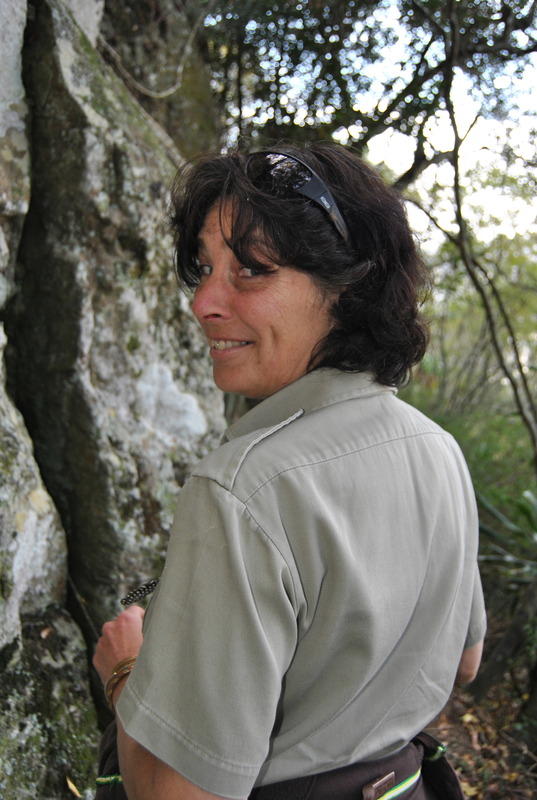 Gomfidae in Mpofana – Yay! 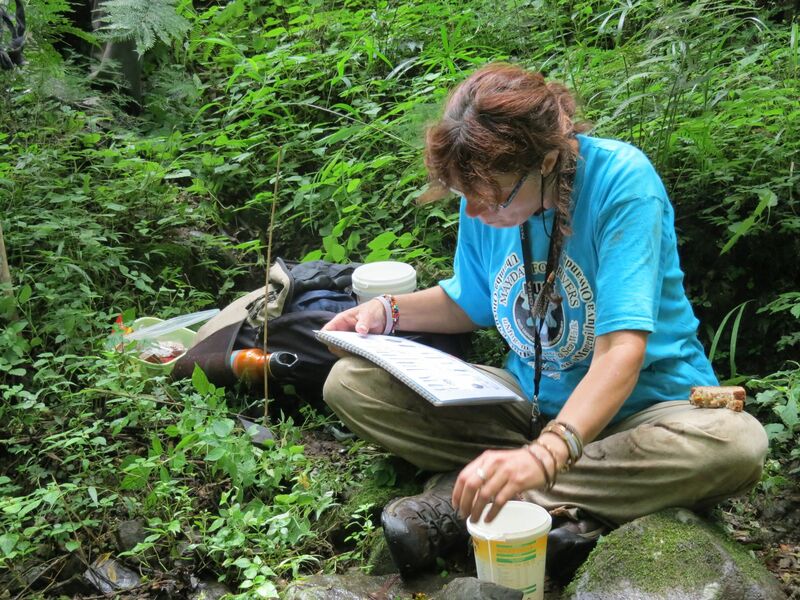 Penny said this was going to be the perfect spot for us to do our testing and collection of species. 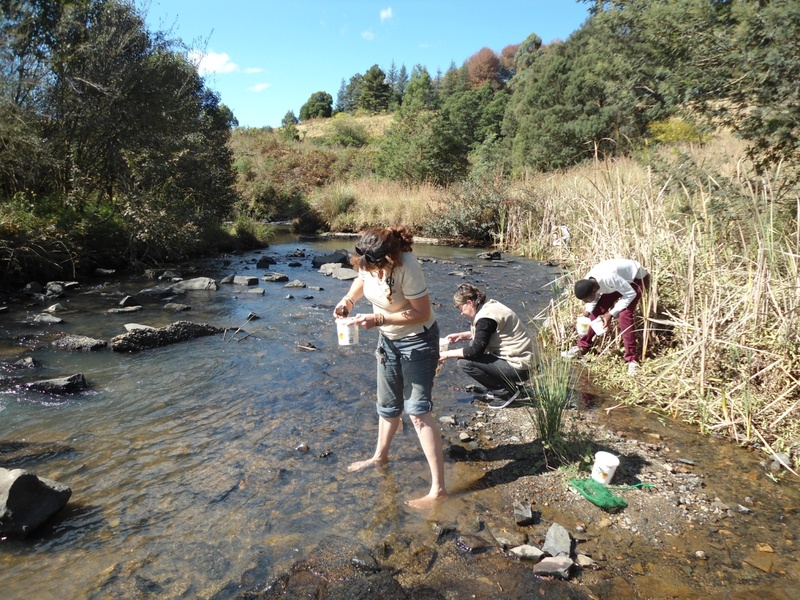 We are now “Entomologists of the Aquatic kind”! However, this was not a pretty place on the river. 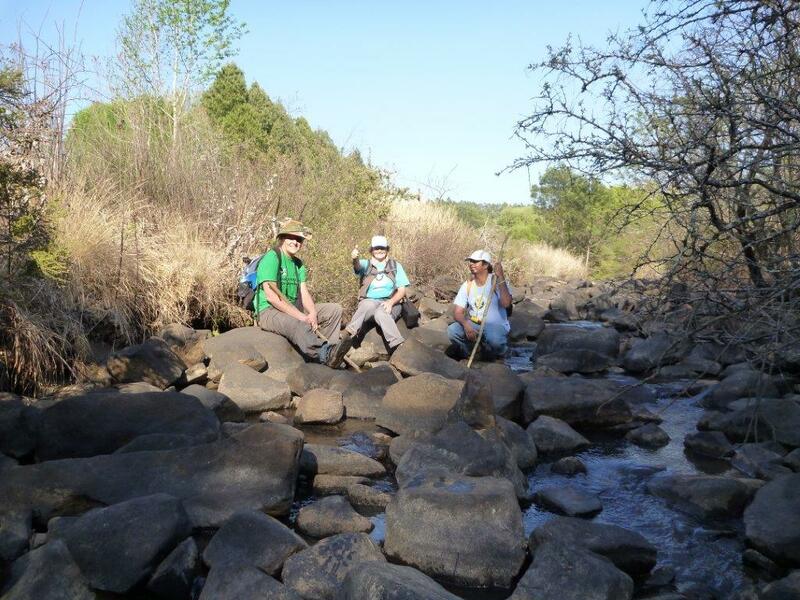 We found a nice flat rock to sit on and scrutinise what we found, lots of rocks and slow and fast moving water – the ideal spot for a miniSASS test. 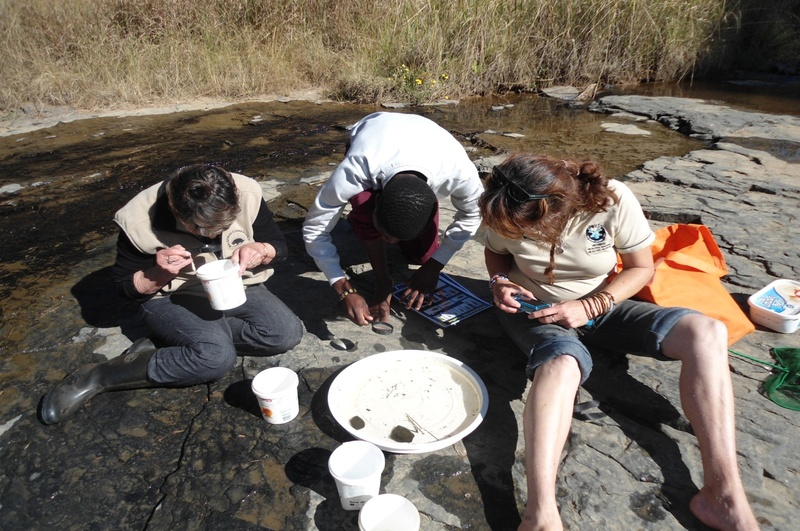 Penny, Yvonne and Nhlaka sifting and identifying their catches with magnifying glass to get a closer look. All the Yoghurt pots have been emptied onto the platter for examination by the “catchers” and listed by Penny. 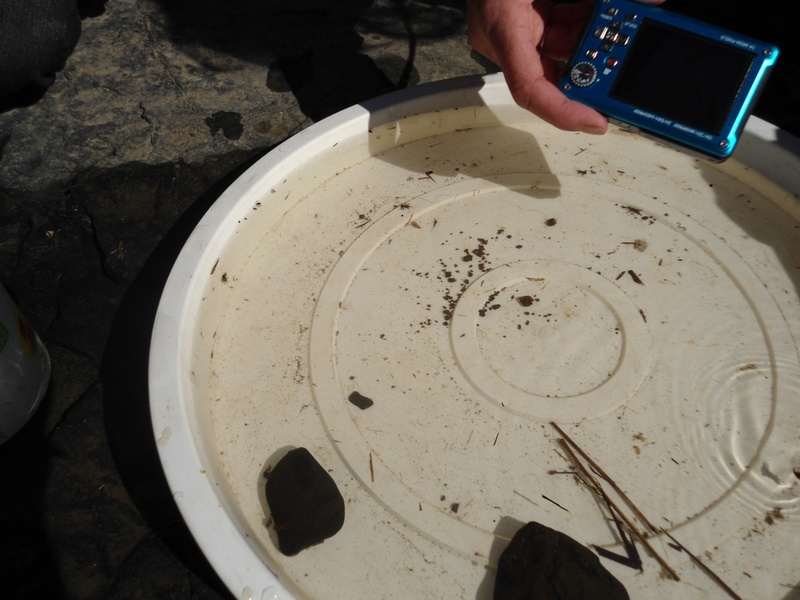 All sorts of interesting little water creatures were discovered – ready to be photographed and catalogued. What a fruitful day. 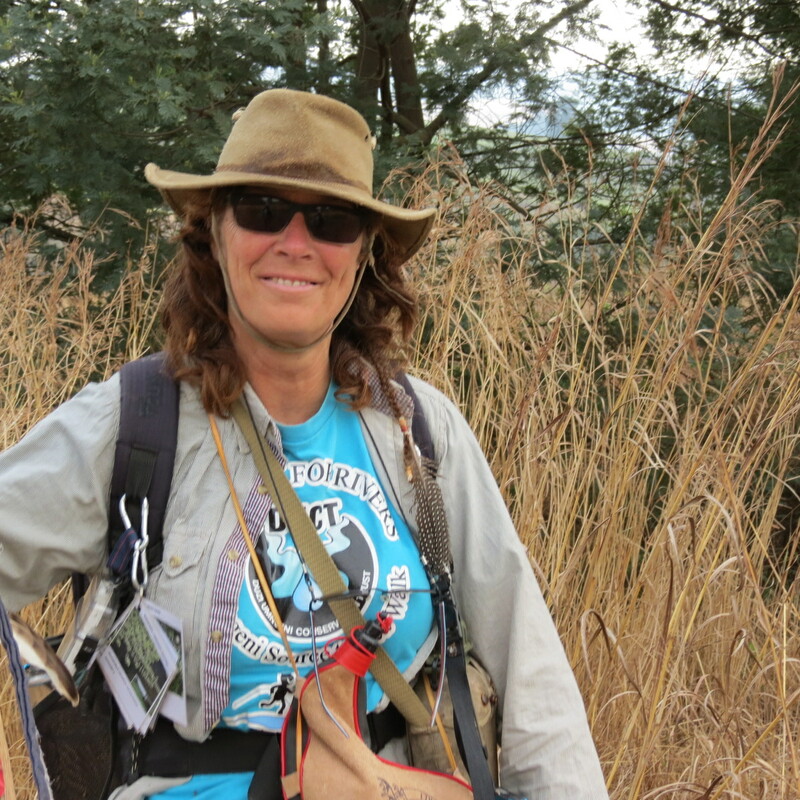 The weather was fantastic and Penny came to the conclusion that at this point – The Dormer Bridge – the Mpofana River was really very clean BUT we now wait to see what happens further upstream and when the Spring Grove Dam comes fully into operation. 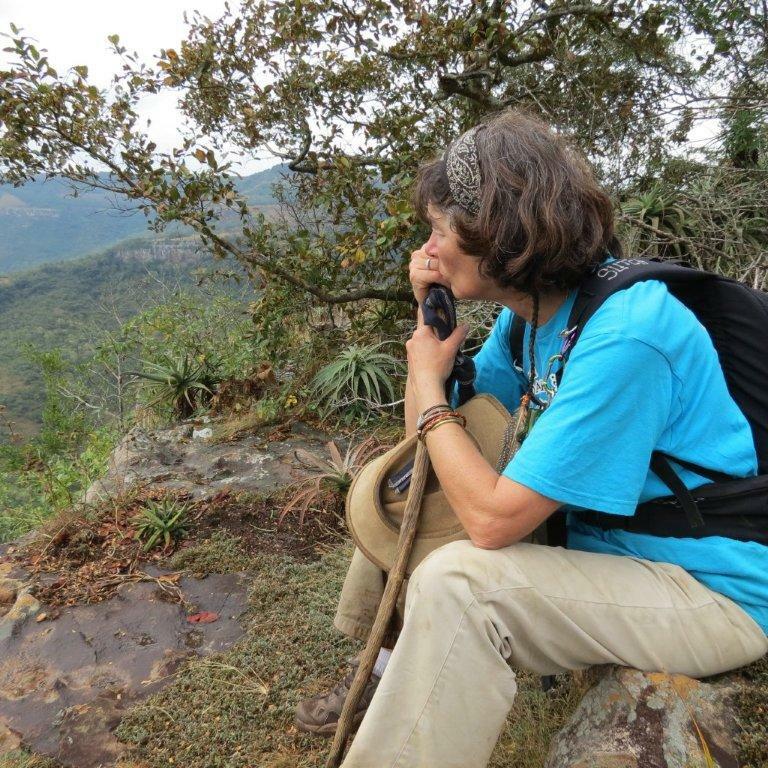 Penny adds: The Mpofana is a crucial part of the Mooi uMngeni inter-basin transfer as the water from the Mooi River is deposited into this stream. This is already causing erosion, so everyone is waiting with bated breath to see what happens when the increased amount of water is sent down from the new Spring Grove Dam. This is a list of what was caught/found in the River and we now have to monitor on a regular basis. Hopefully more people will join us in the next in the Water Workshop. It really was a lot of fun! 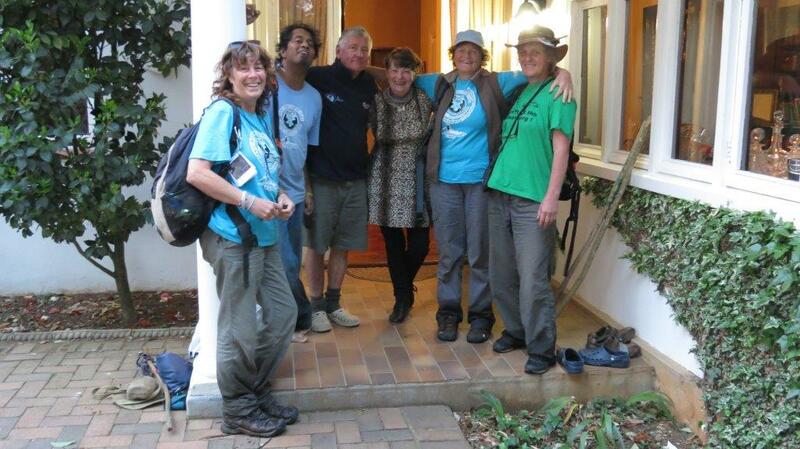 Penny Rees and her team of DUCT River Walkers will be exploring the entire Mpofana River in October this year. Read her version of the day’s events. 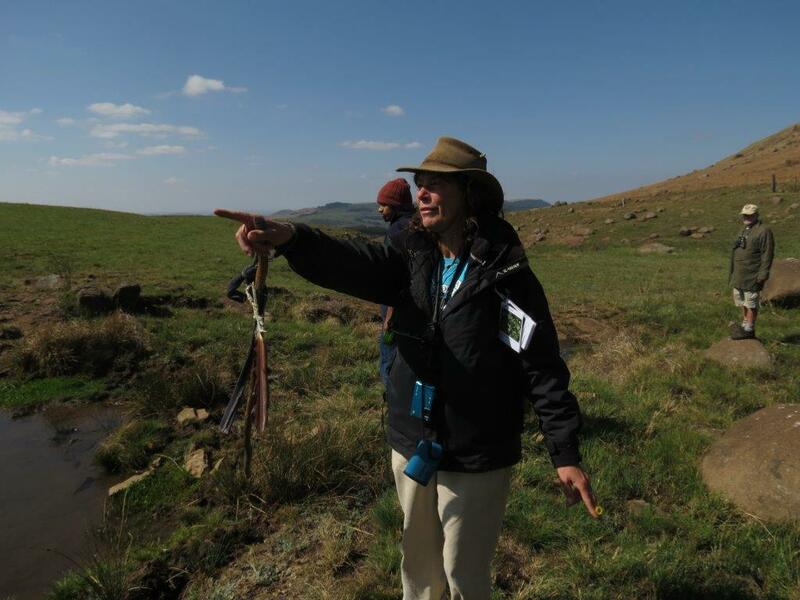 This entry was posted in Conservancy Action, Water and tagged balgowan, miniSASS, mpofana, rivers, water workshop on June 9, 2014 by Midlands Conservancies Forum.